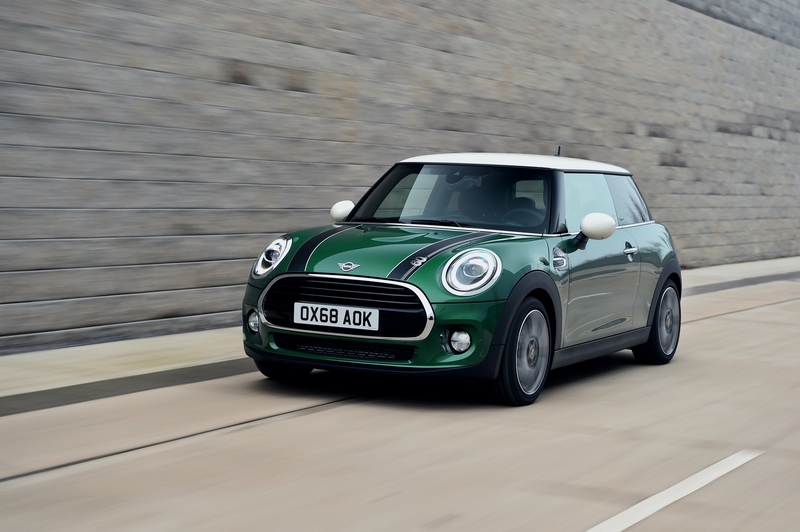 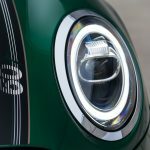 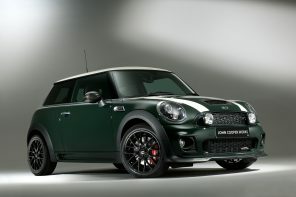 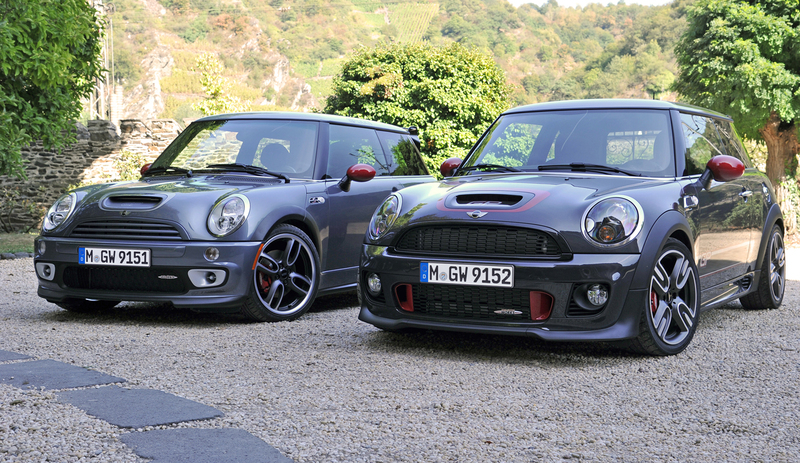 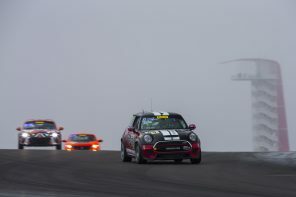 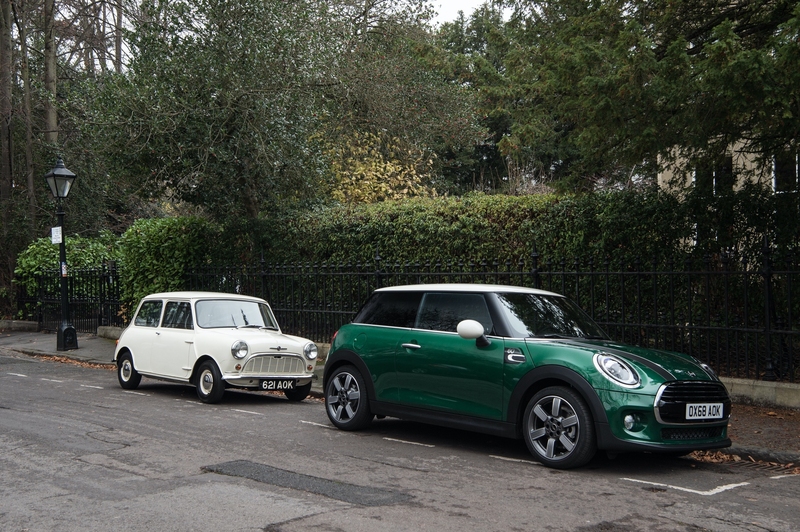 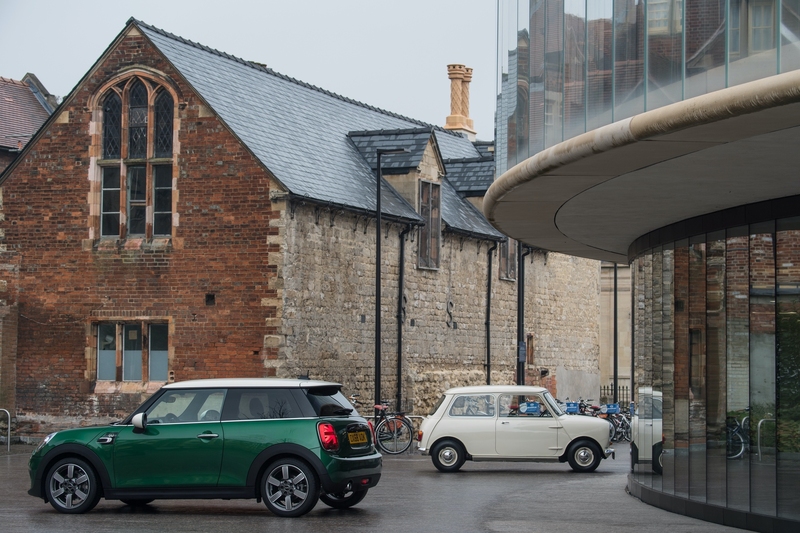 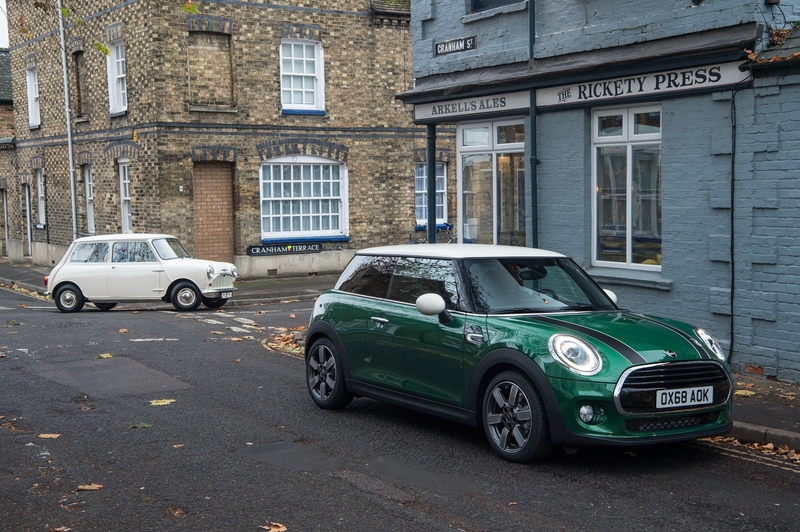 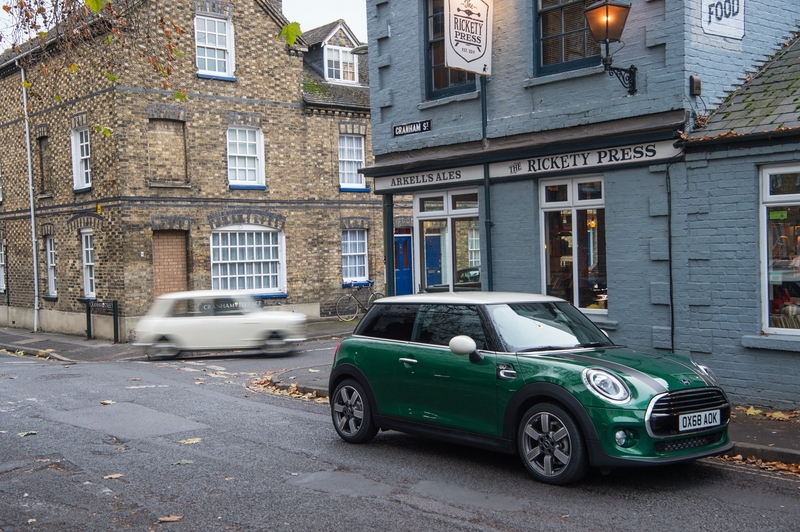 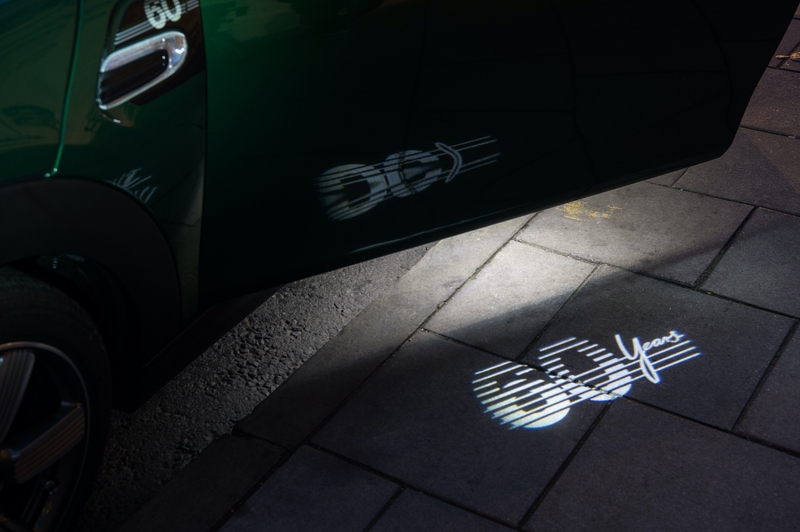 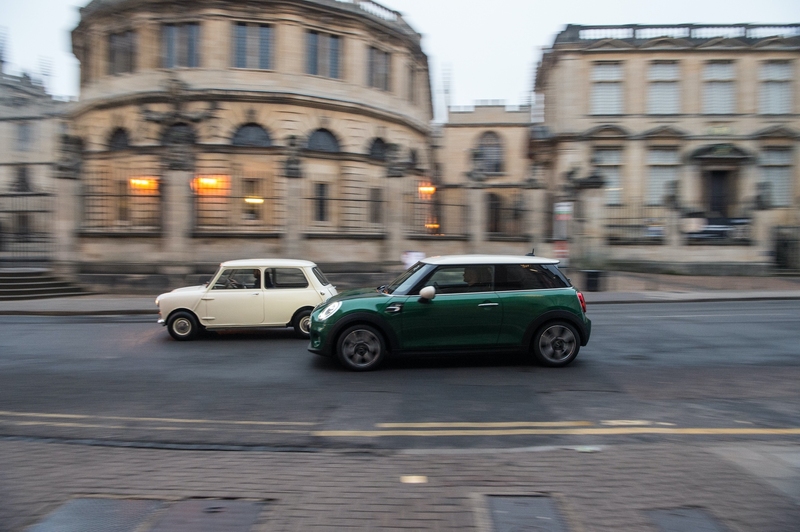 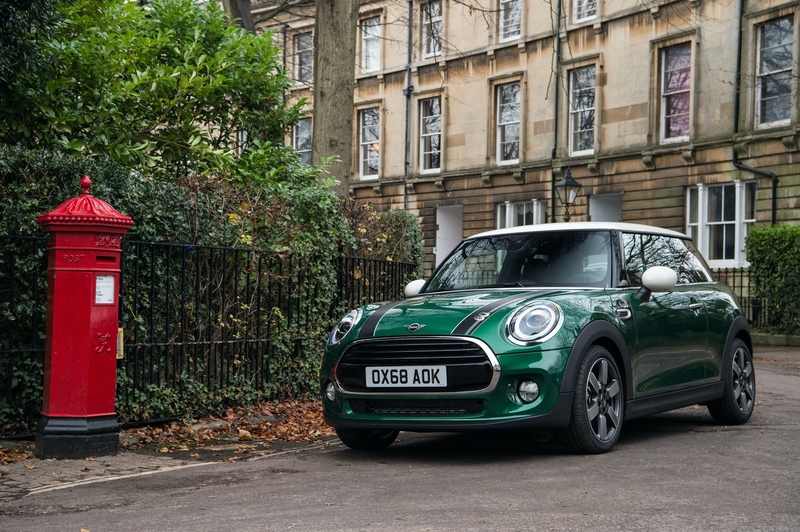 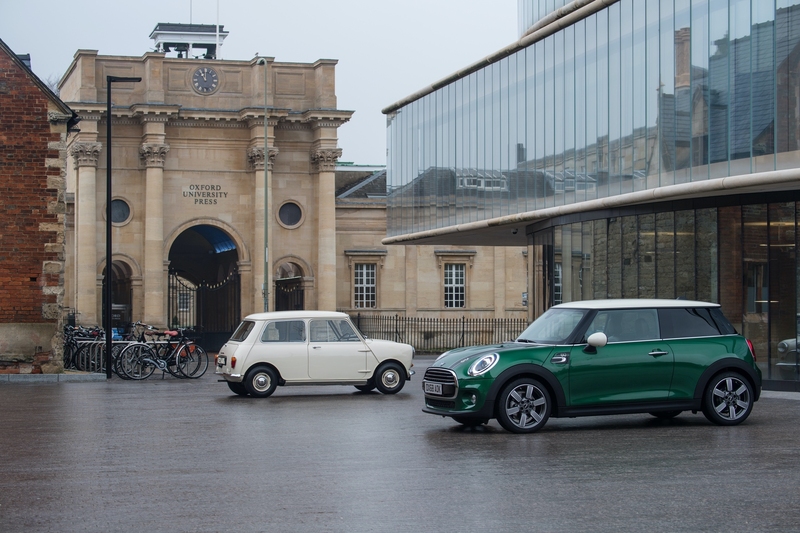 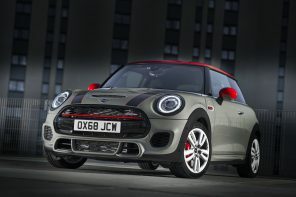 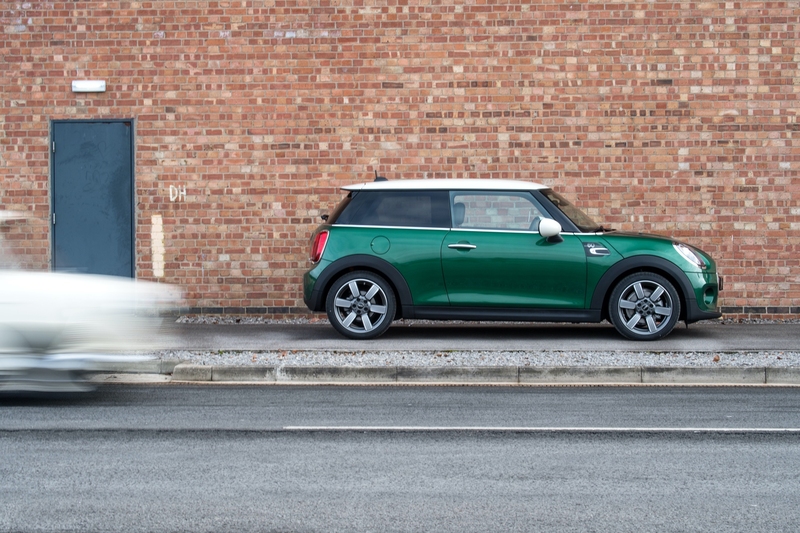 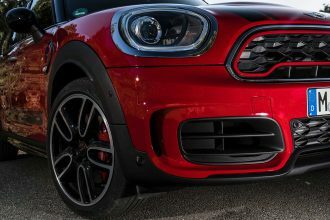 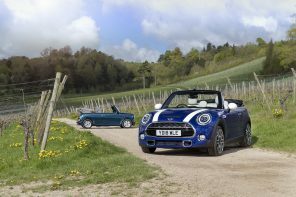 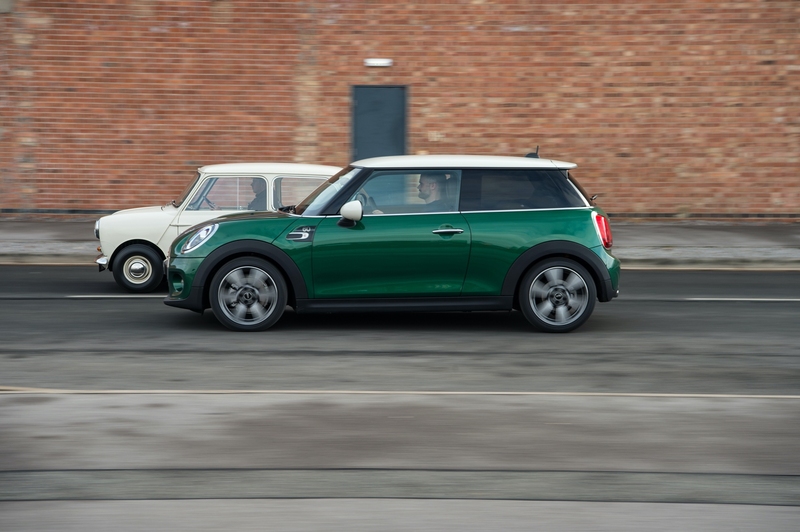 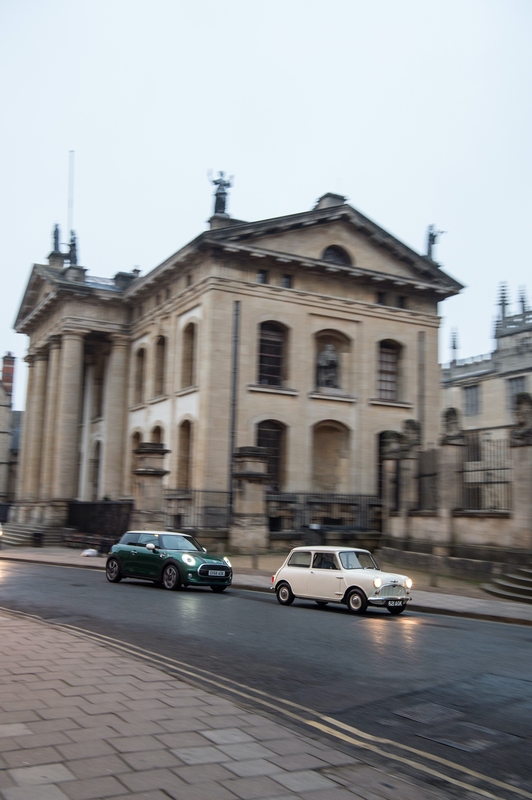 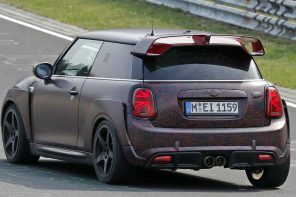 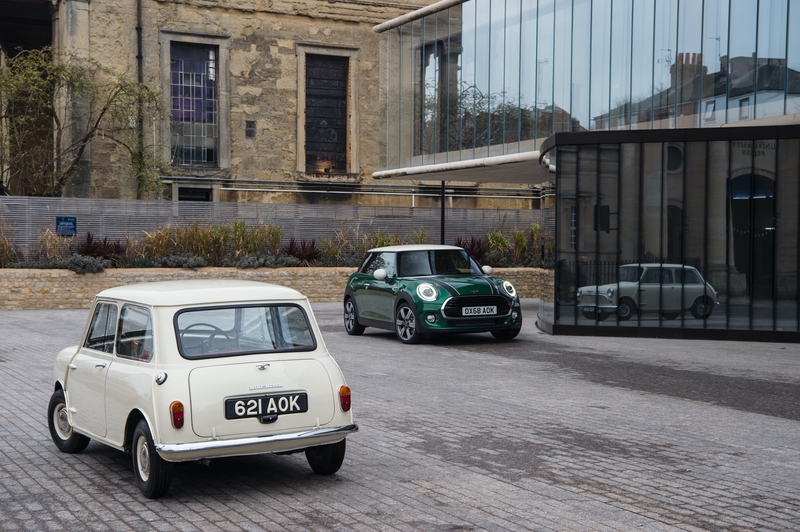 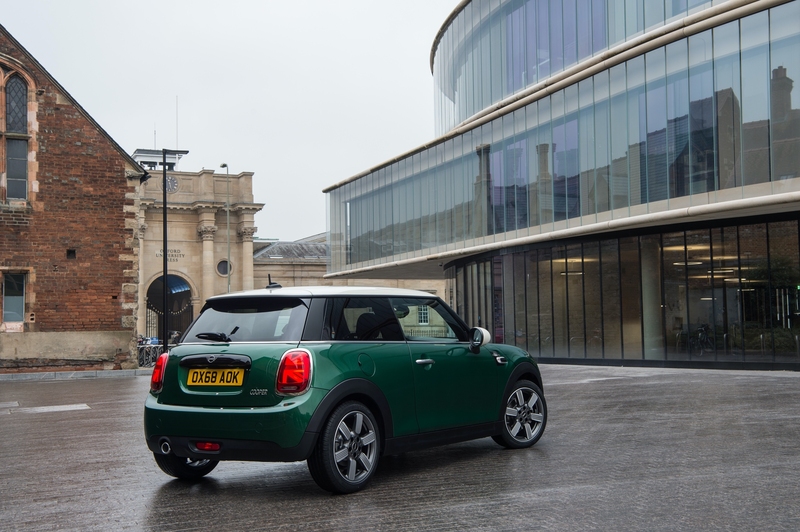 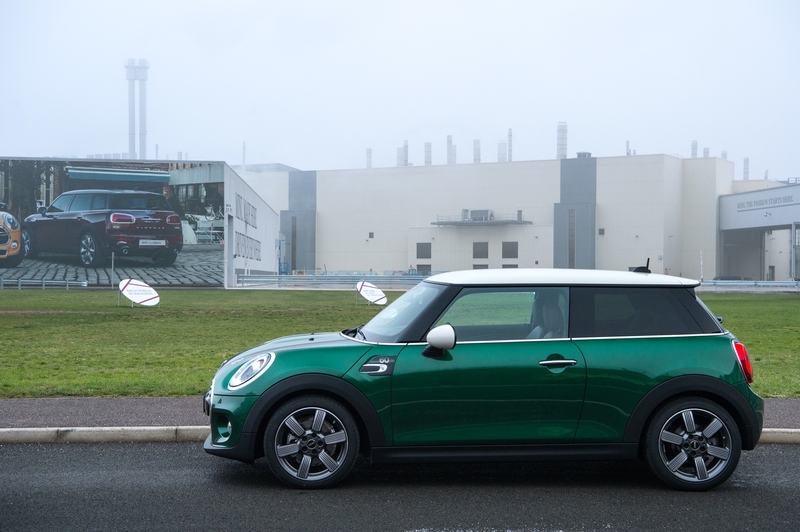 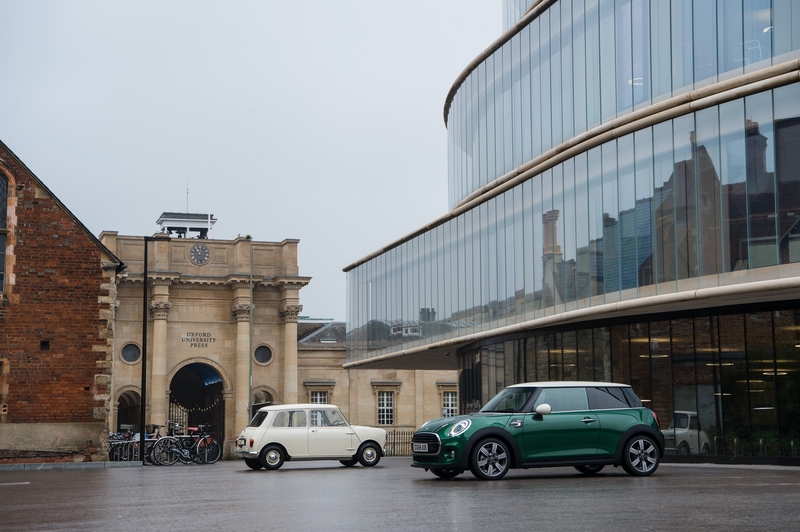 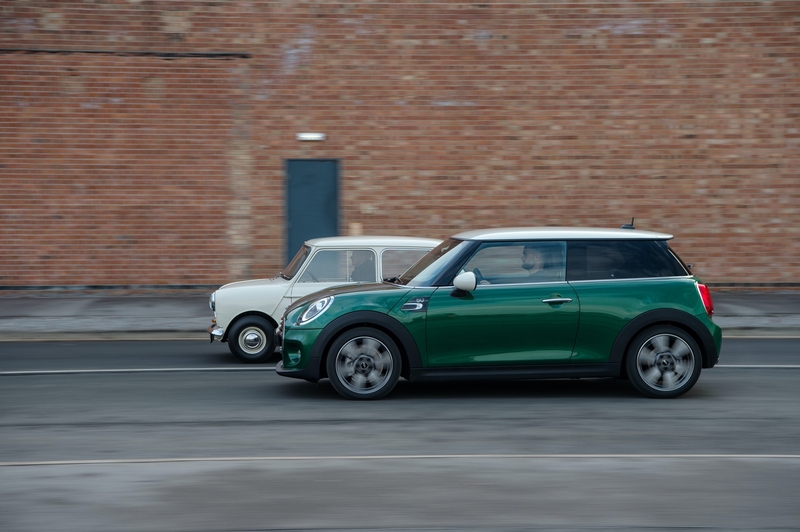 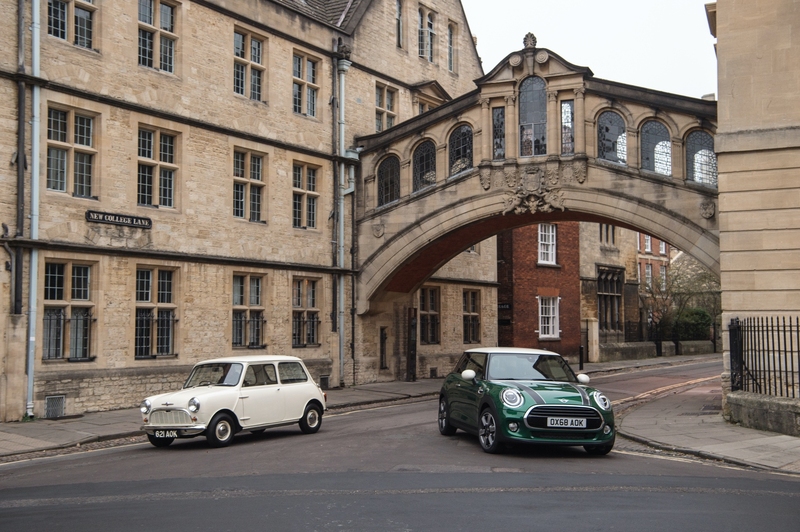 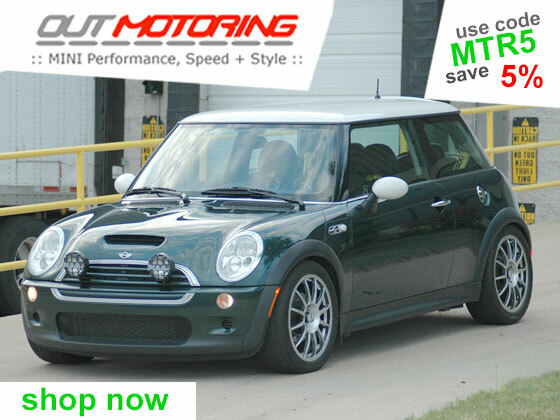 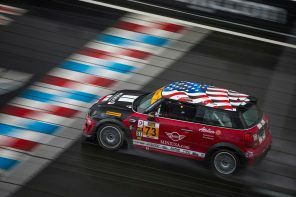 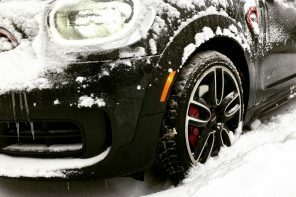 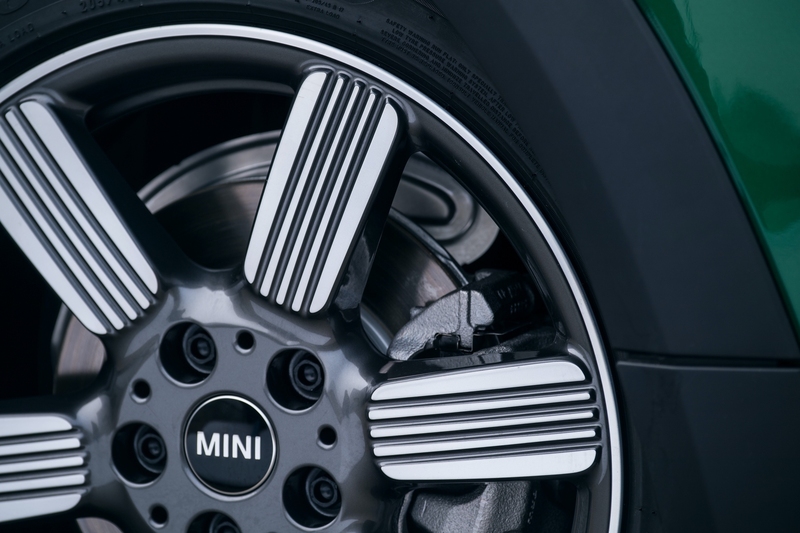 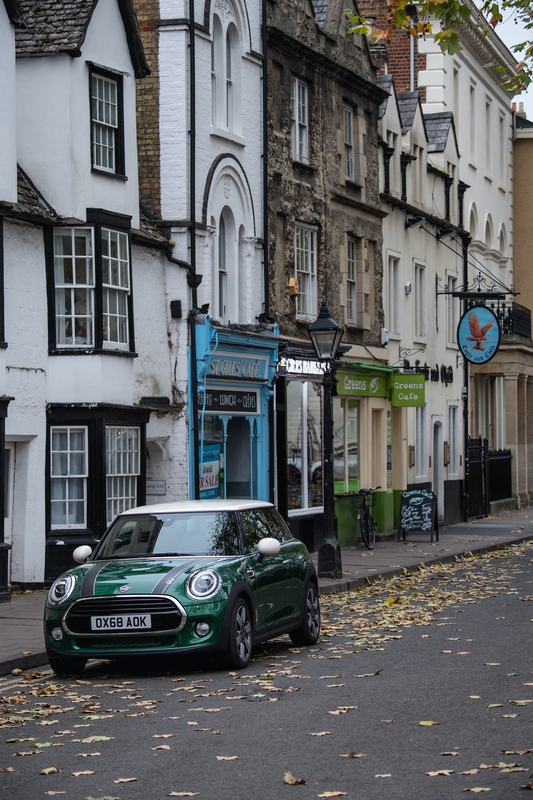 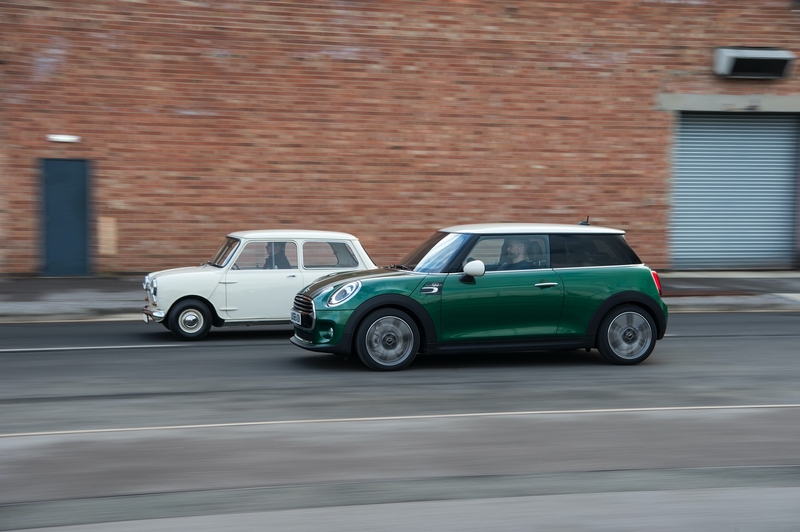 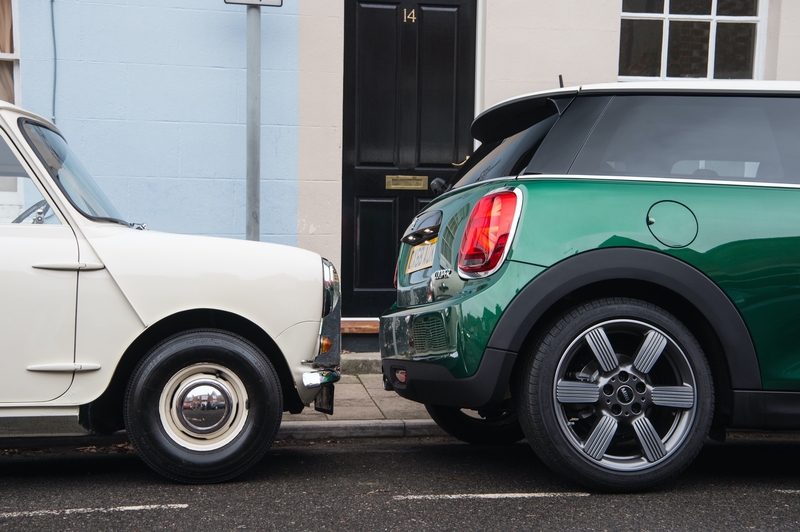 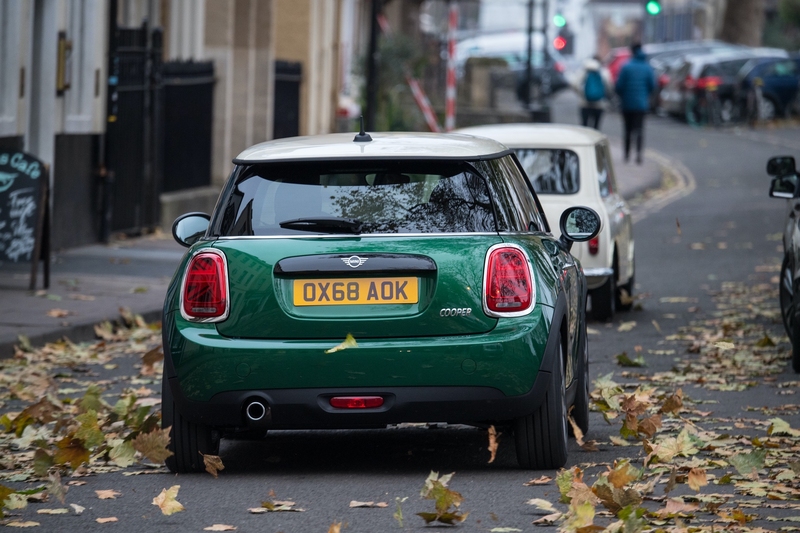 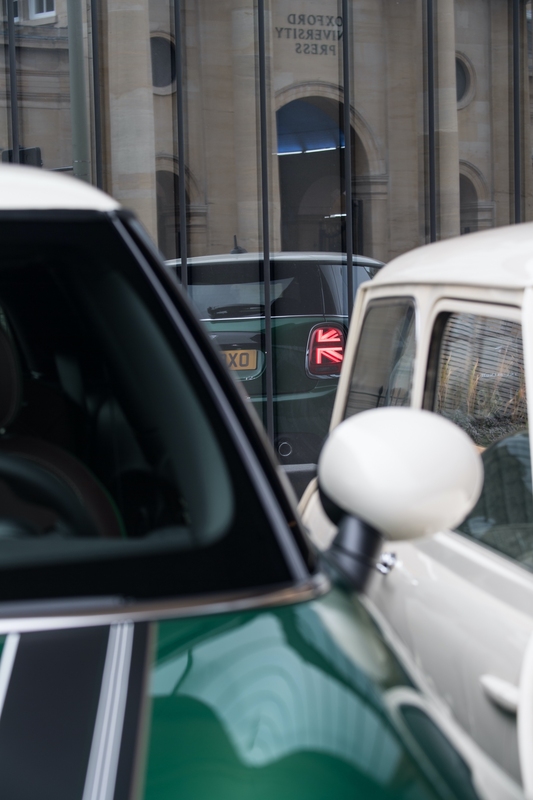 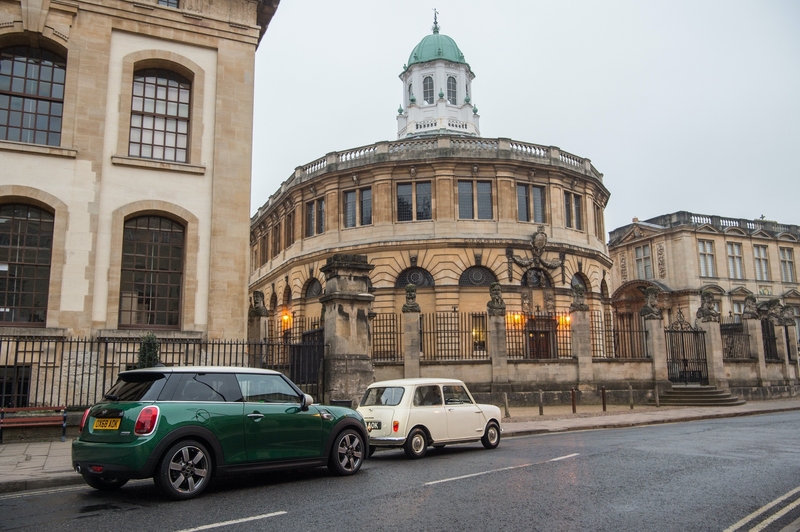 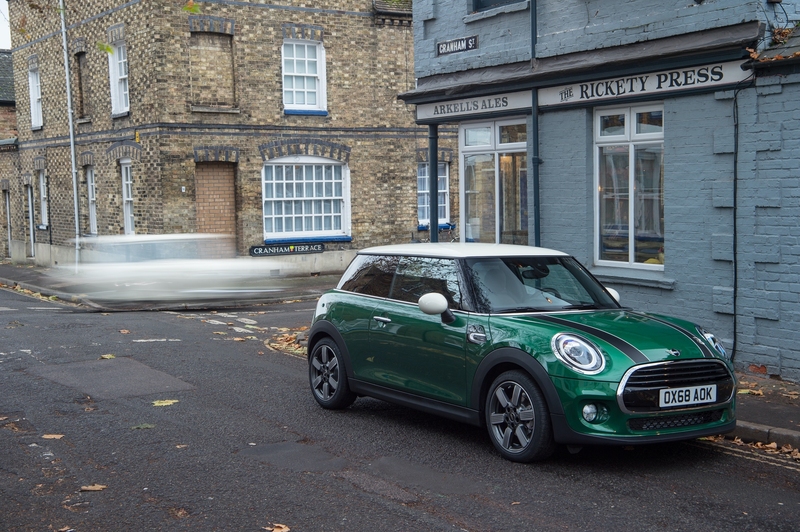 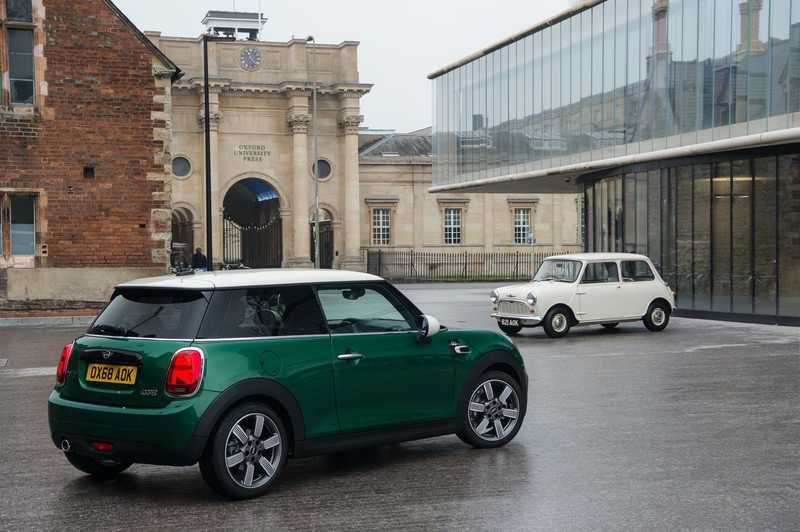 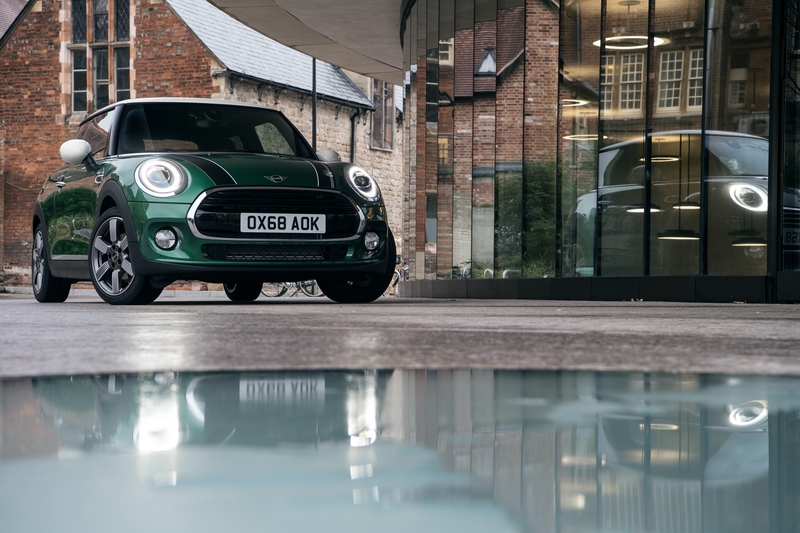 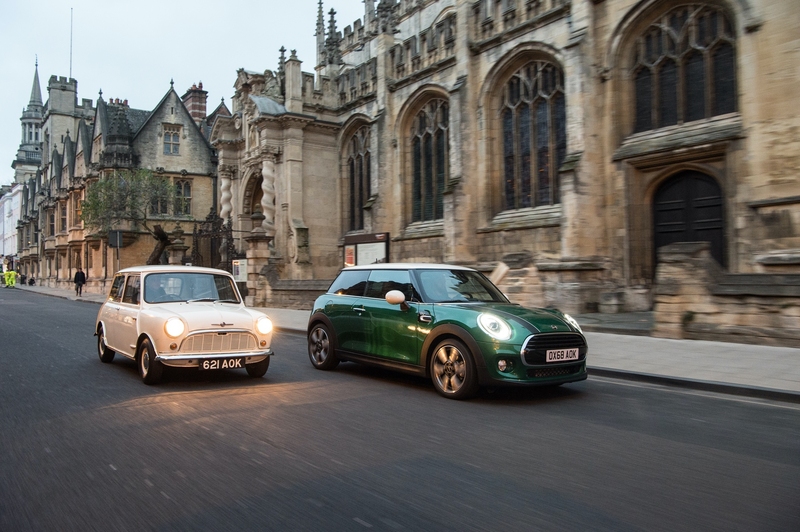 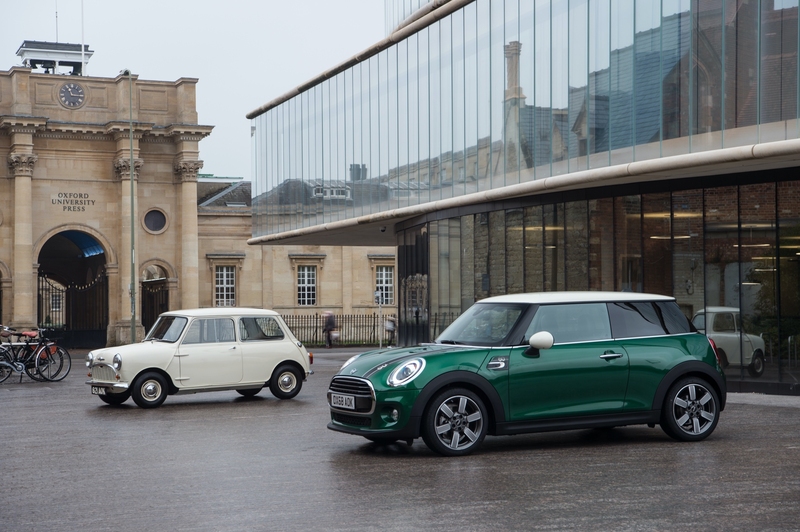 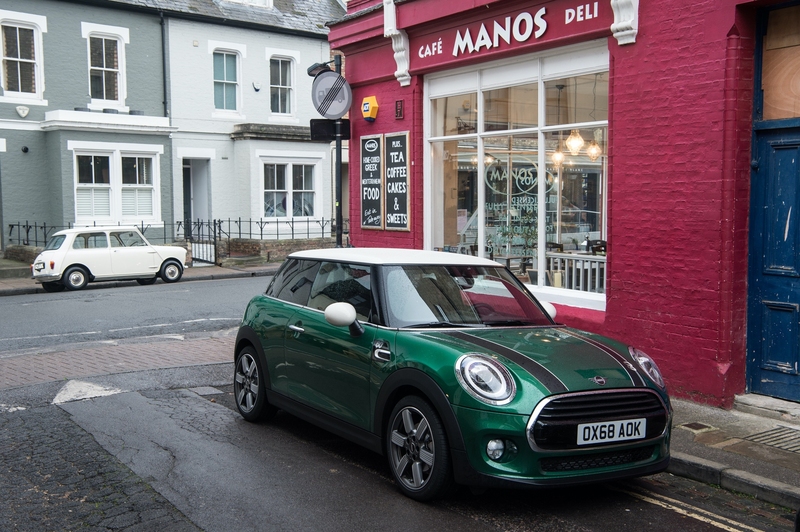 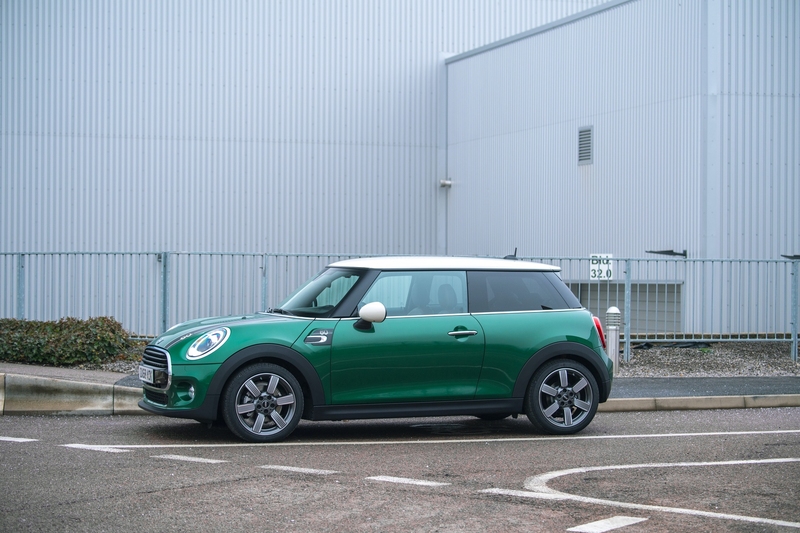 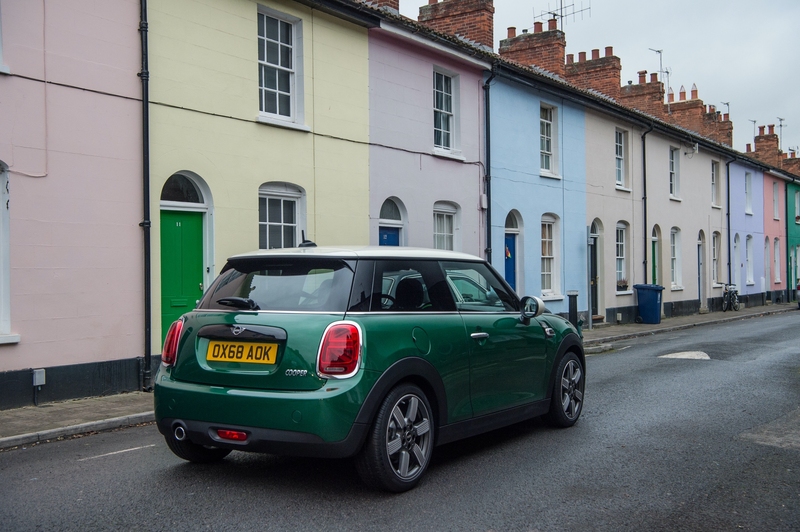 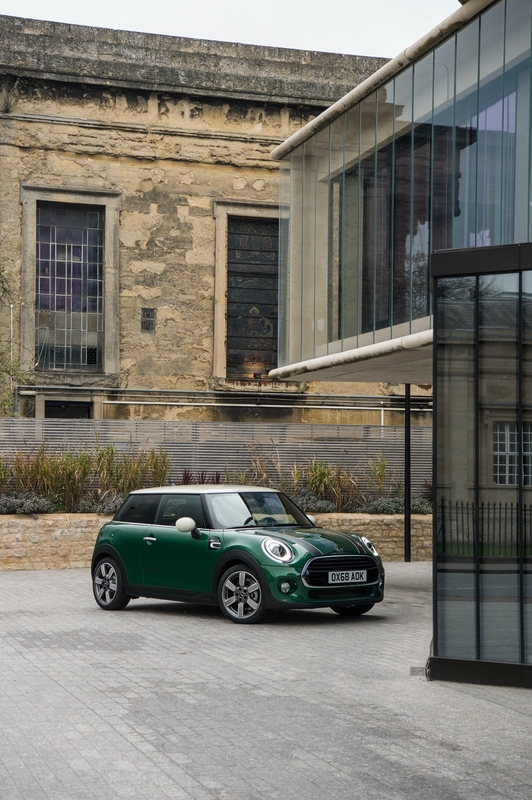 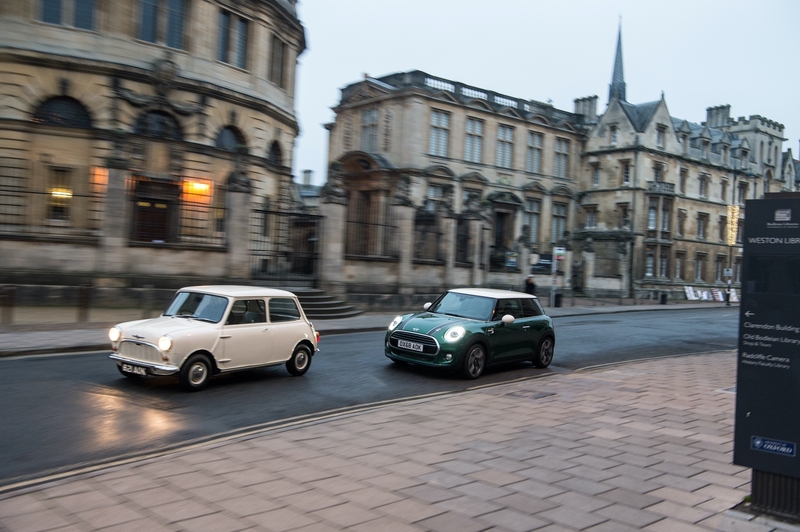 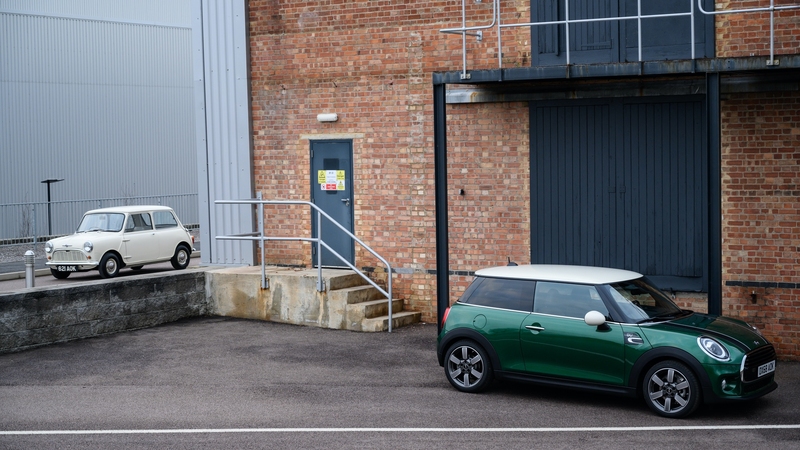 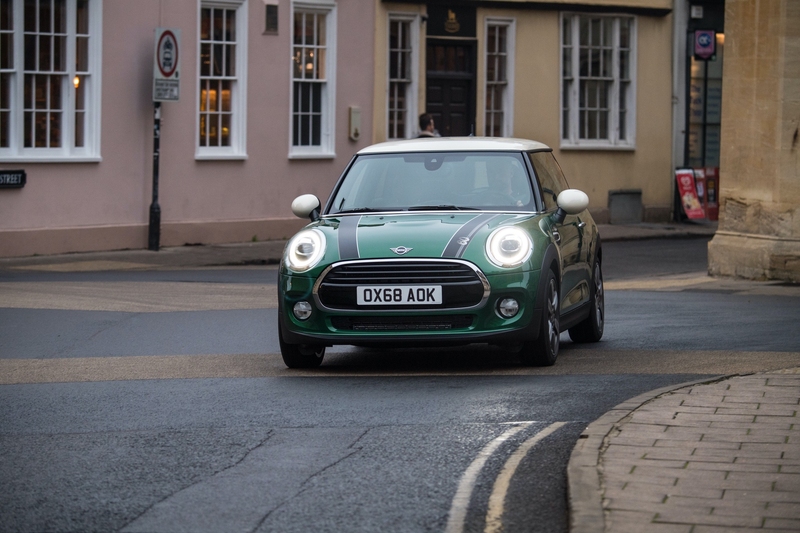 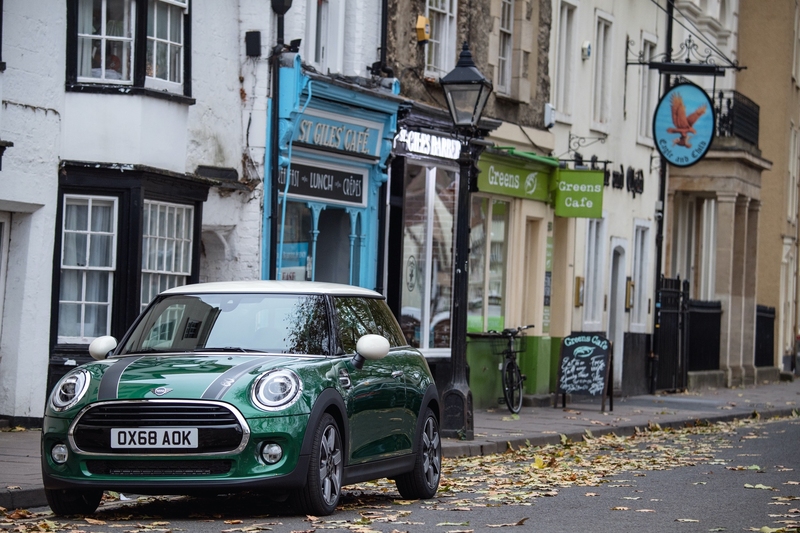 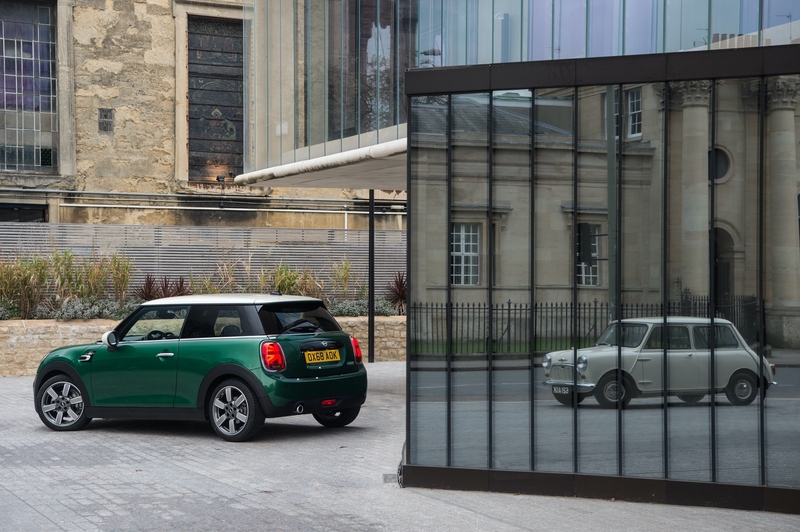 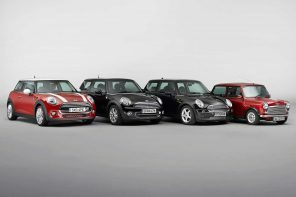 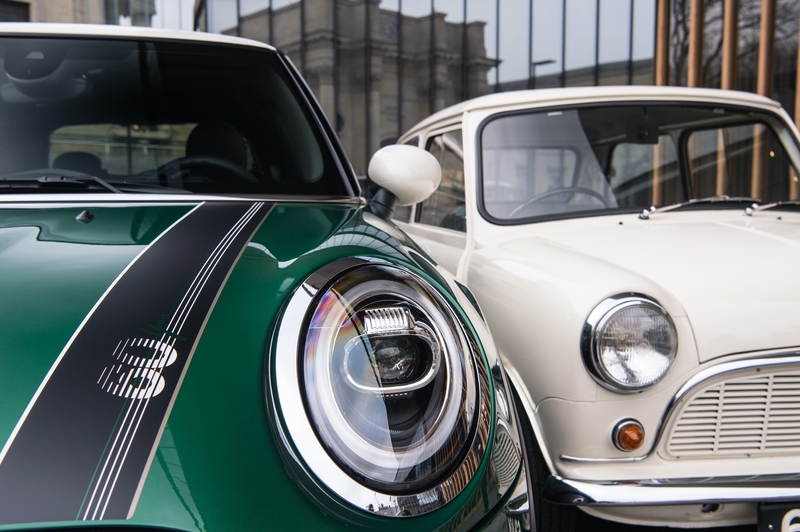 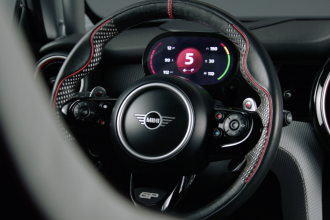 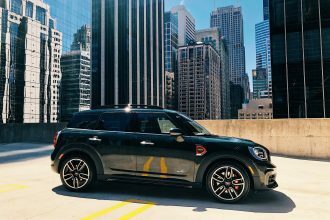 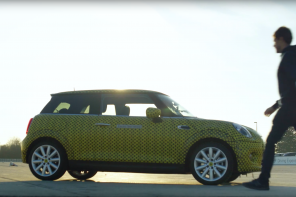 Last week we announced the forthcoming 60 Years Edition MINI based on the 2019 F55 and F56. 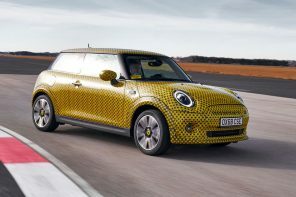 As you’d expect this is a bit more than just a sticker based special edition as it’s a worldwide release. 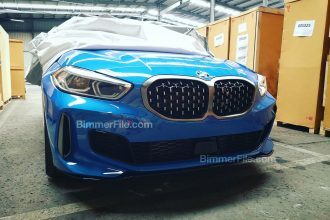 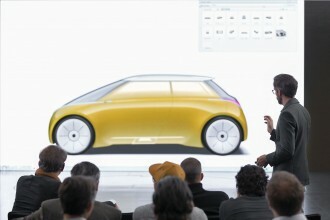 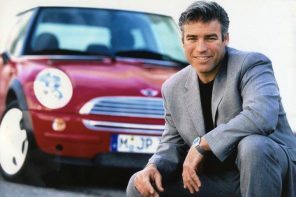 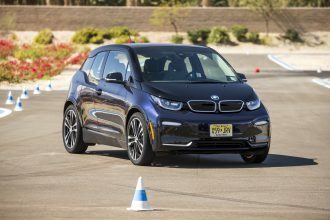 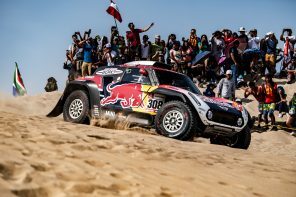 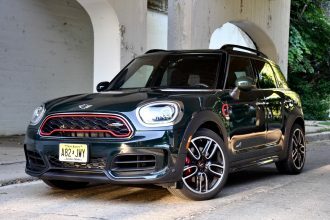 But just what’s special about this car? 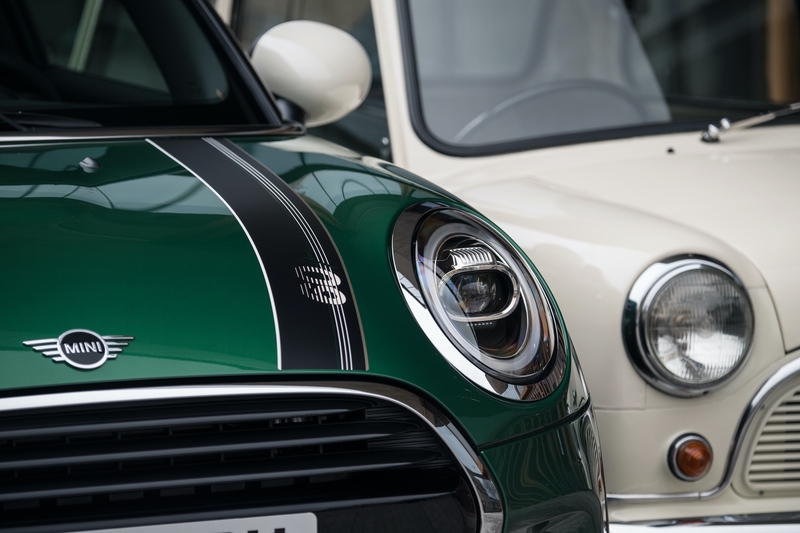 Let’s dissect. 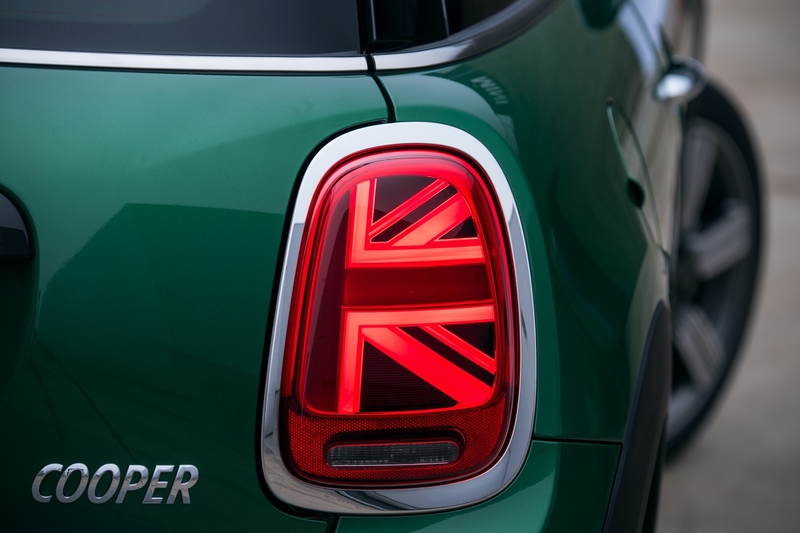 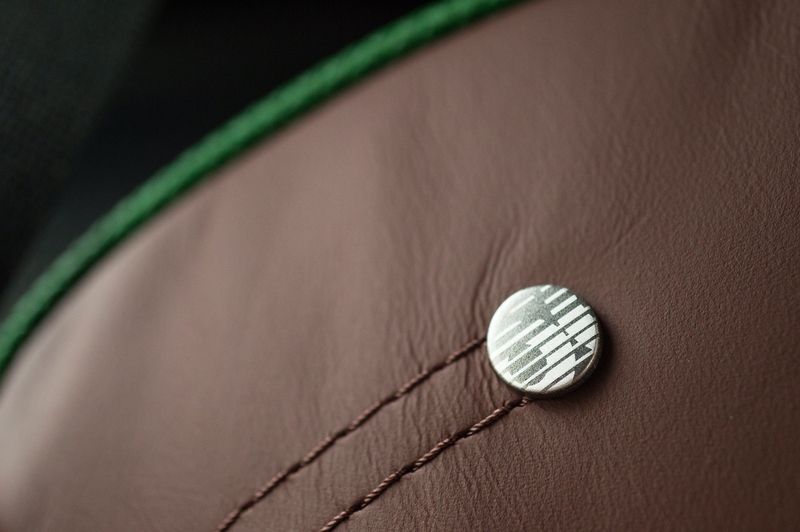 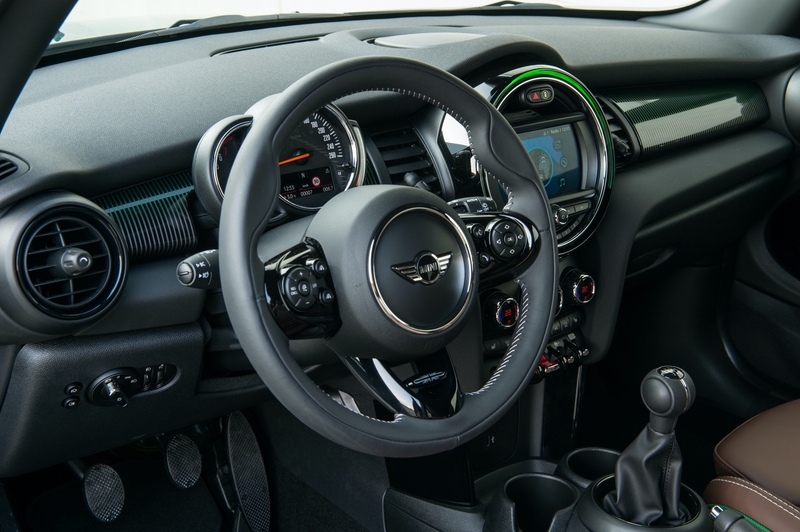 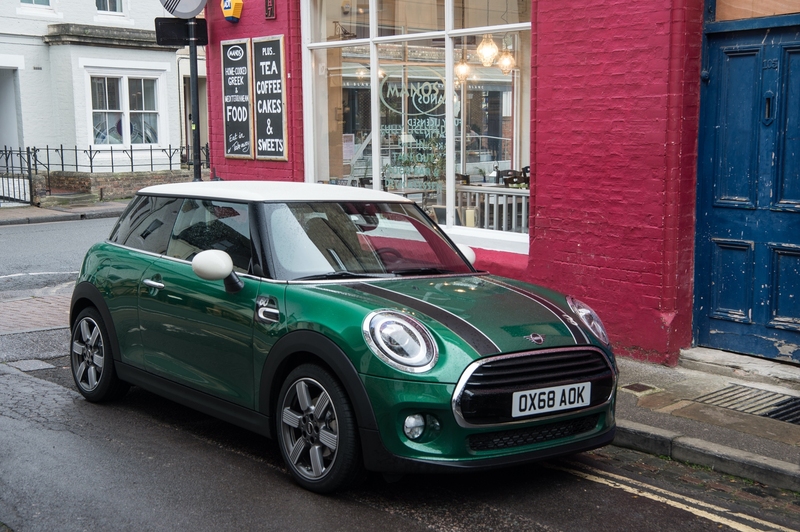 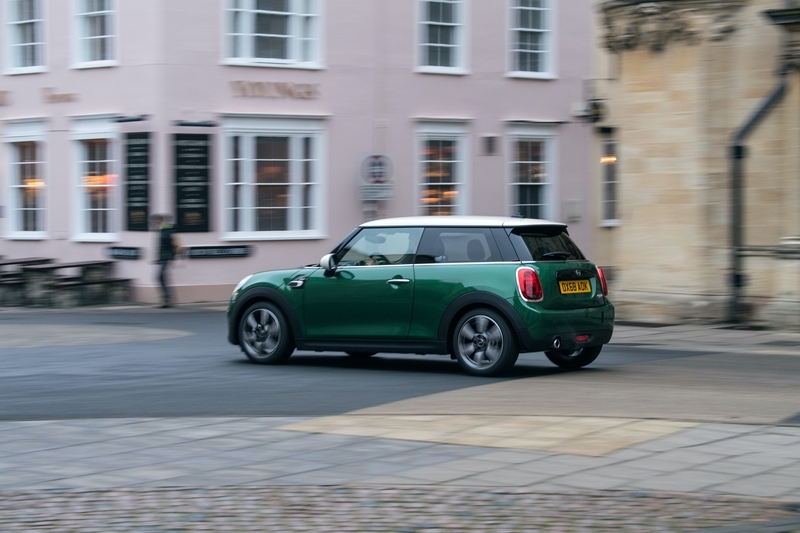 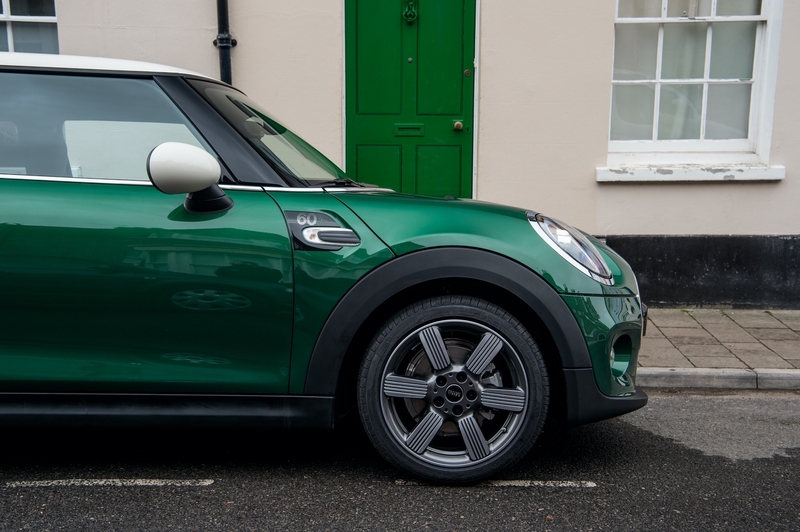 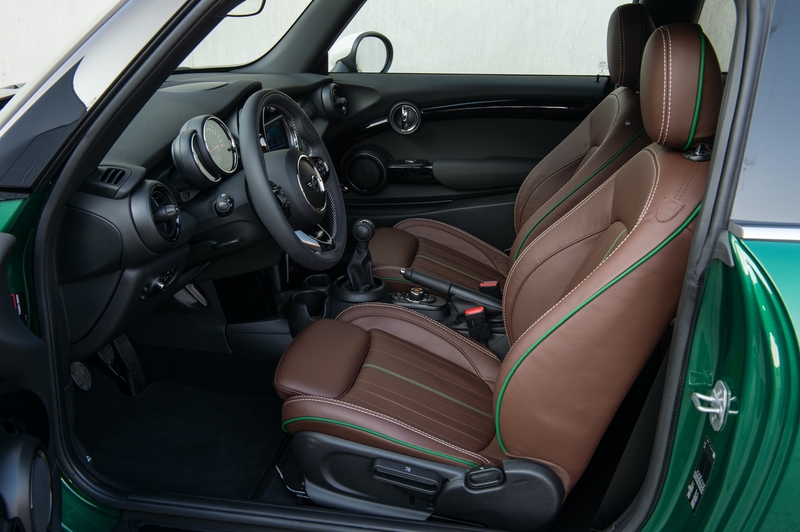 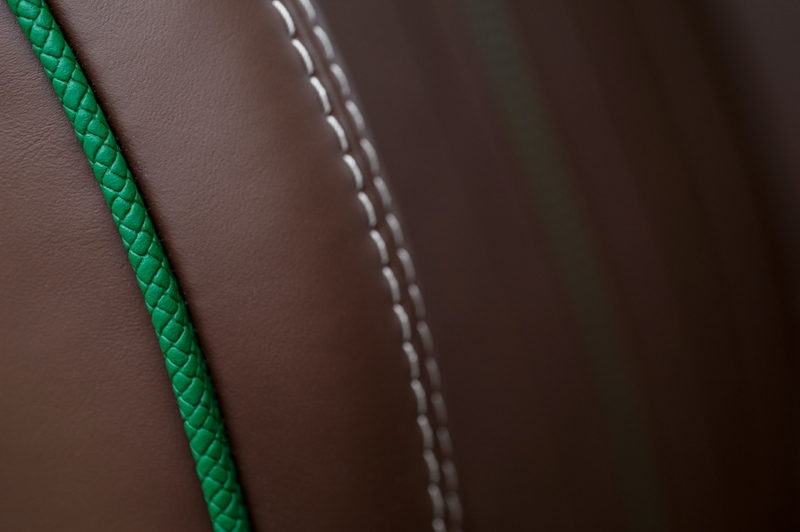 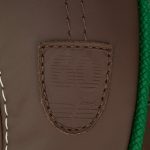 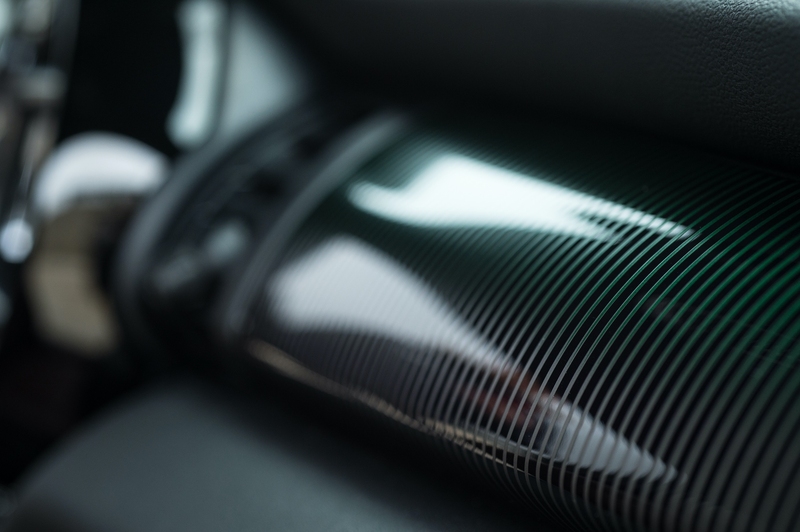 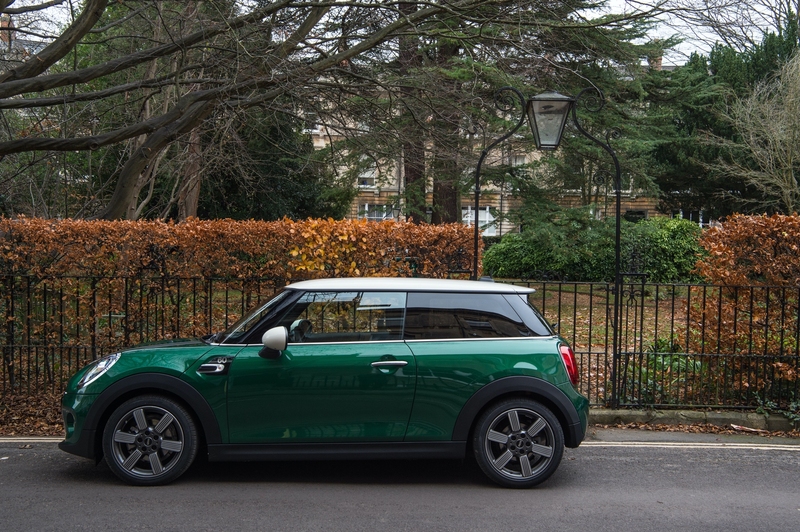 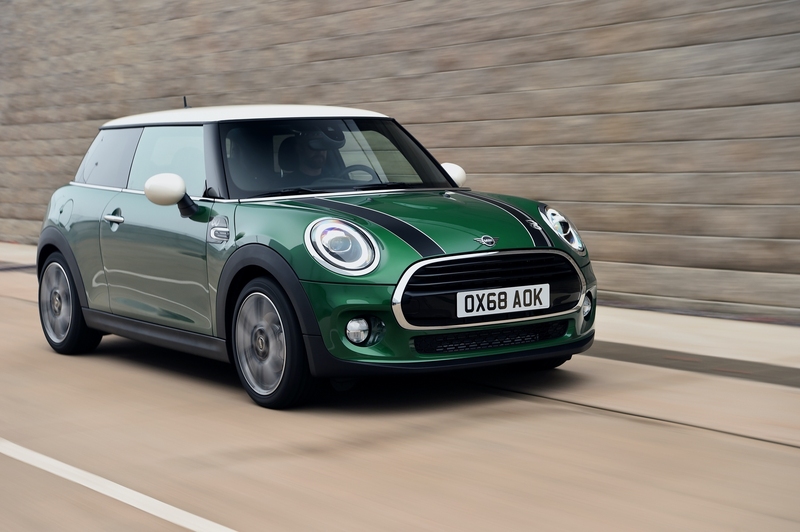 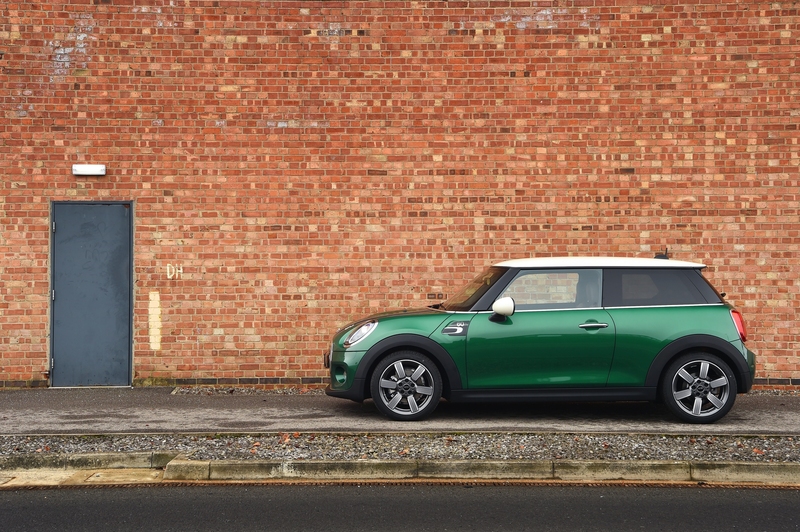 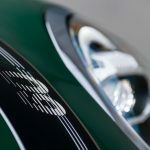 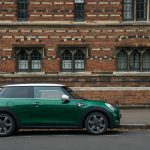 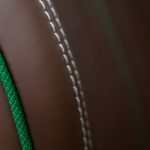 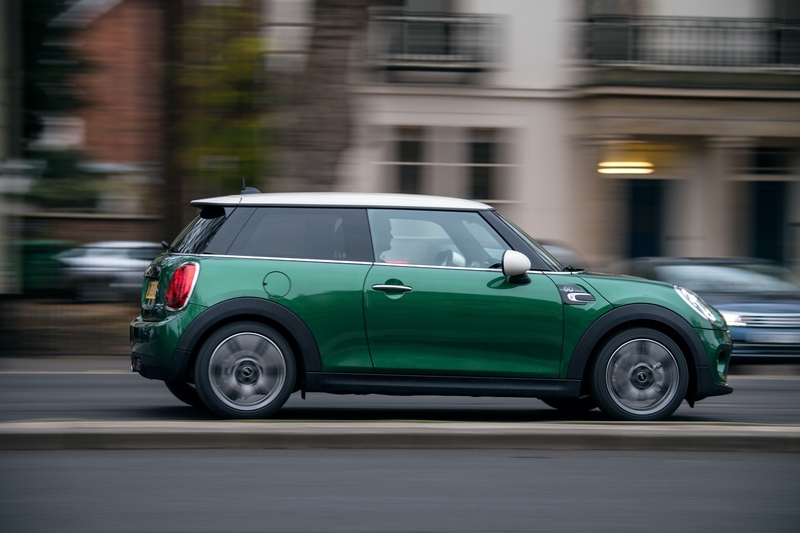 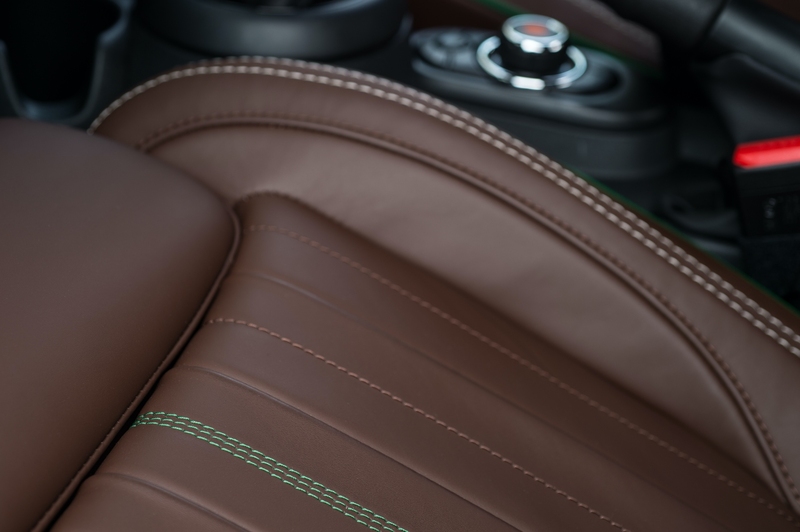 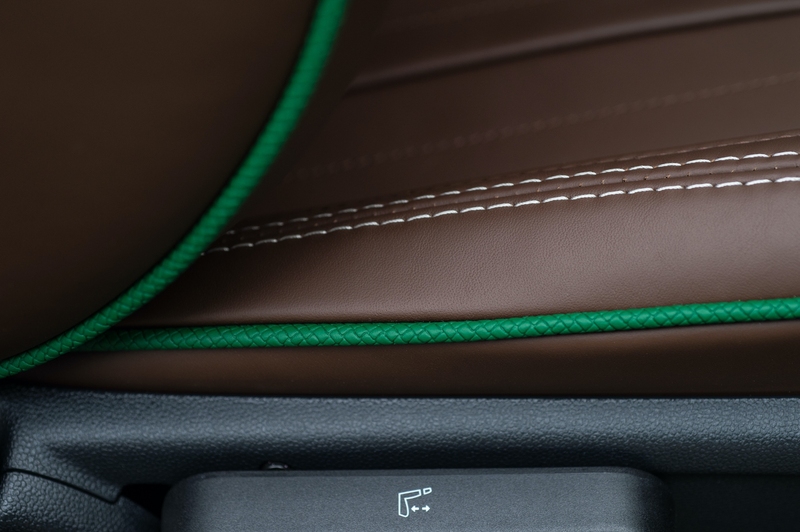 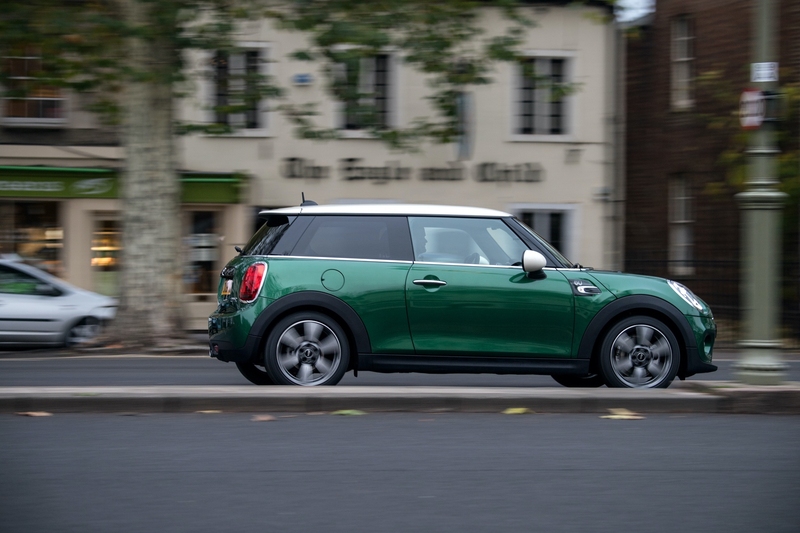 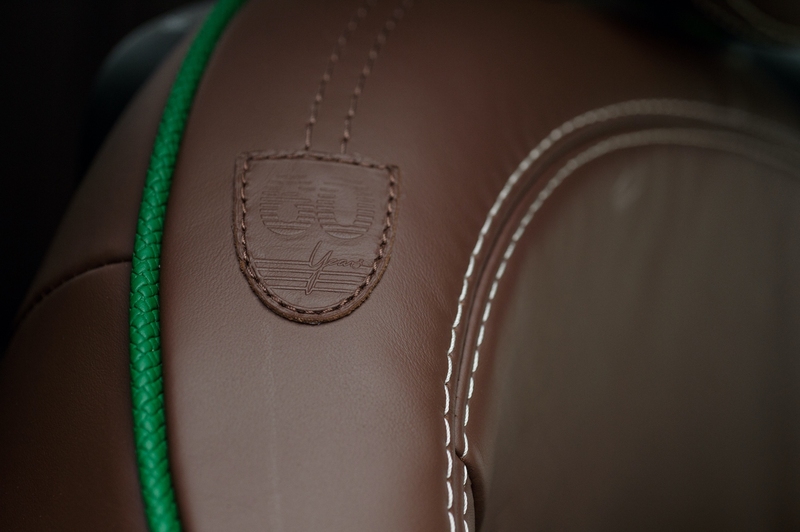 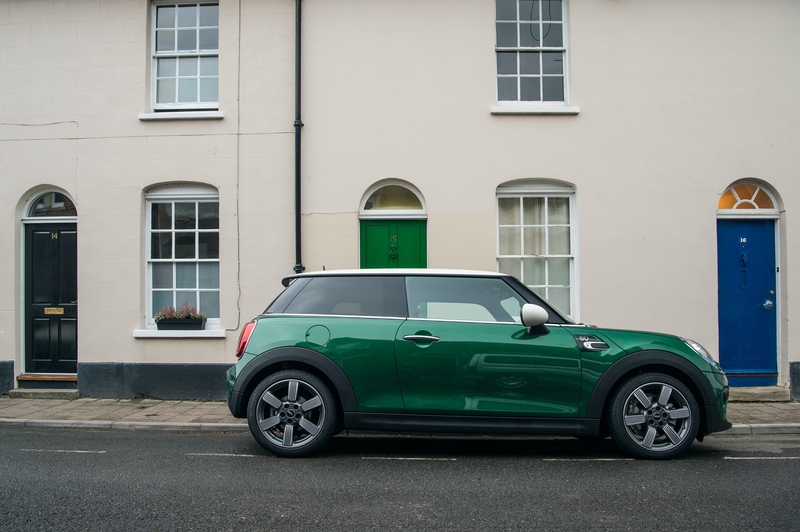 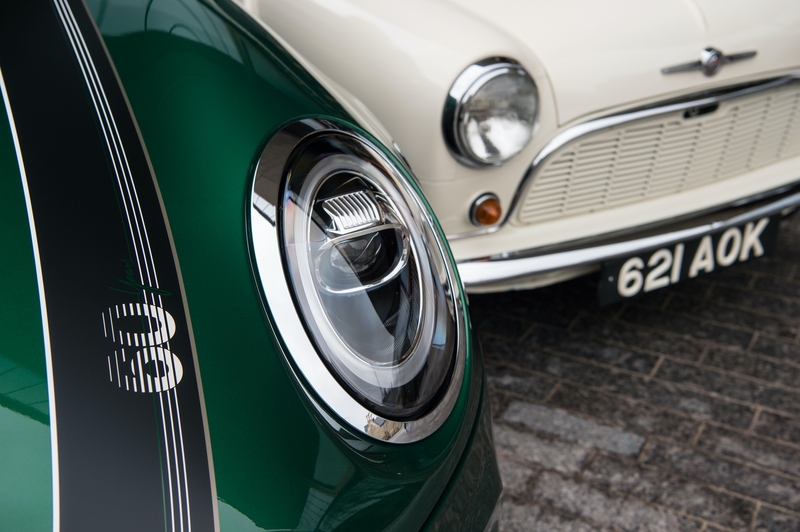 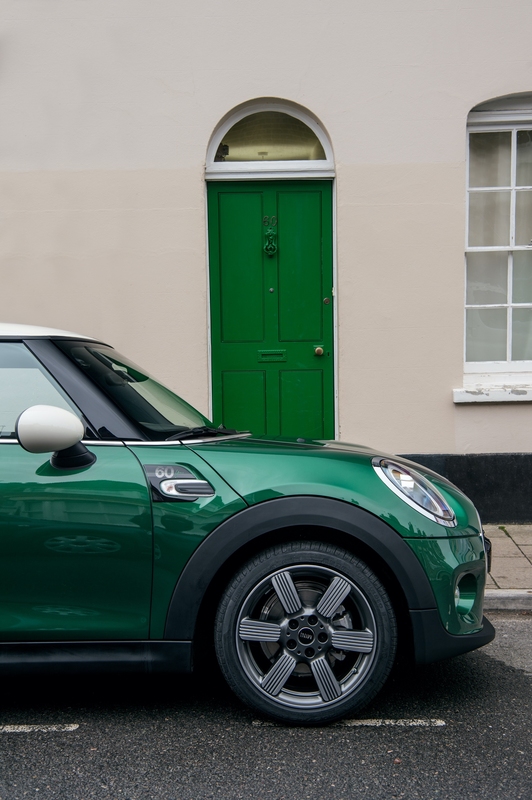 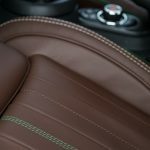 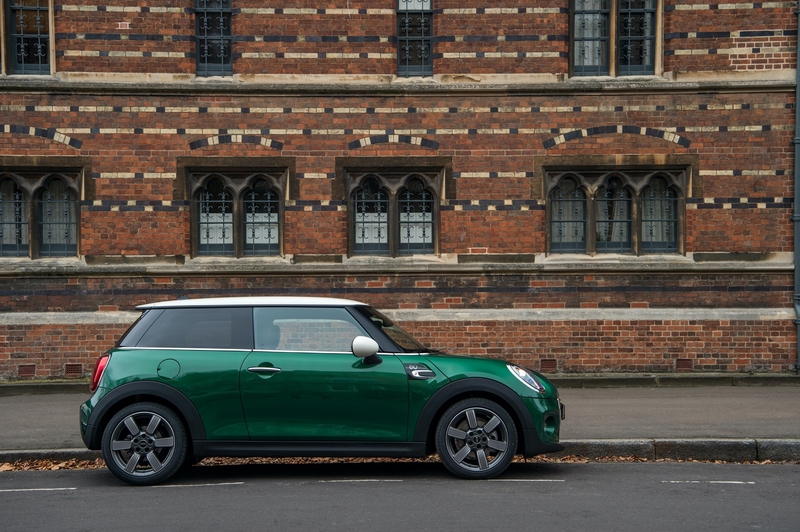 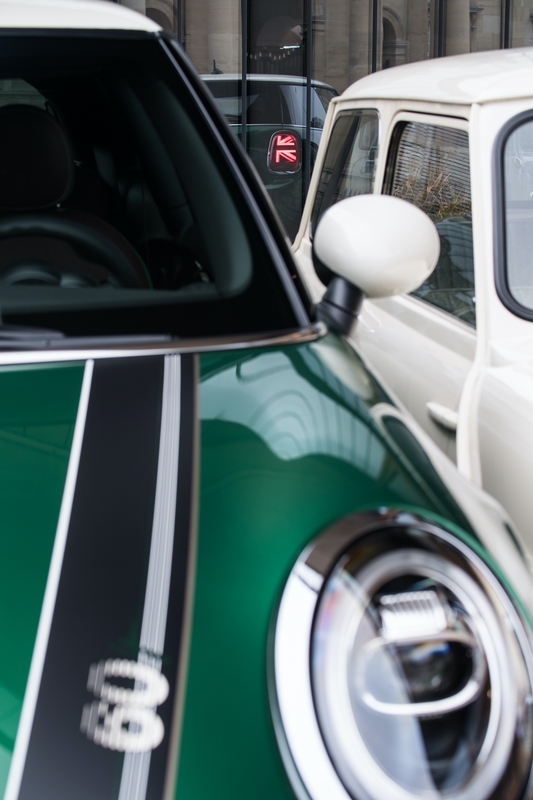 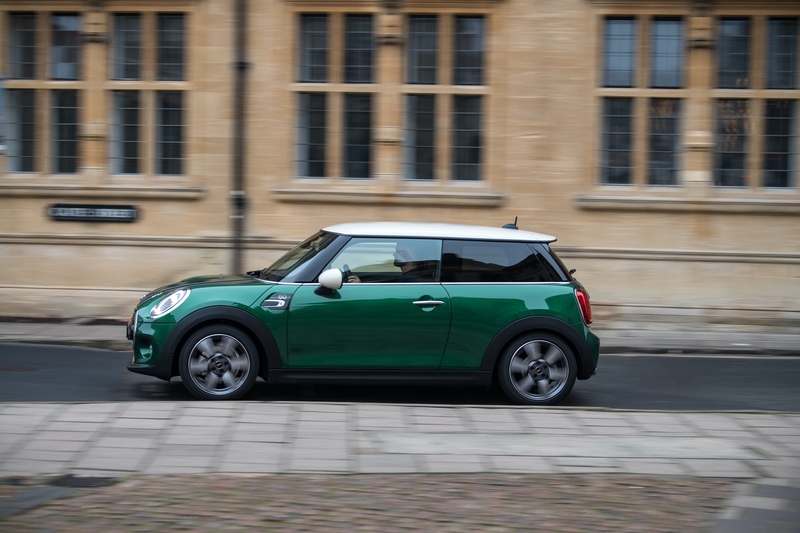 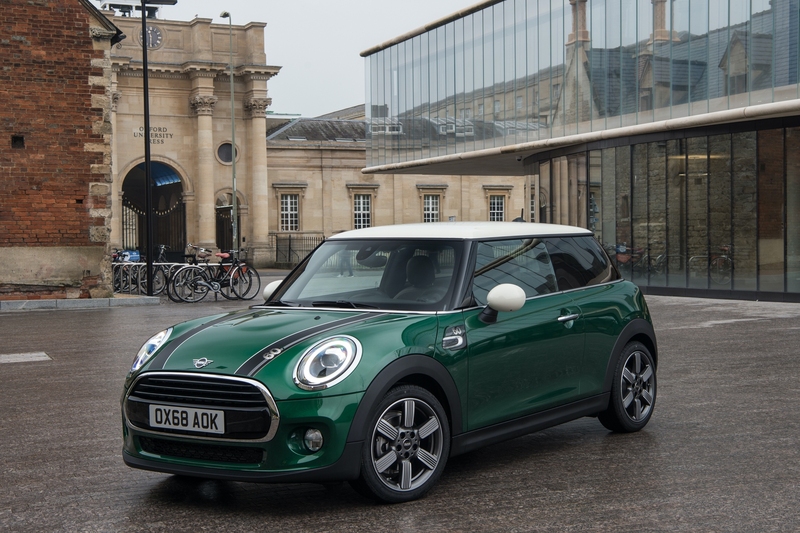 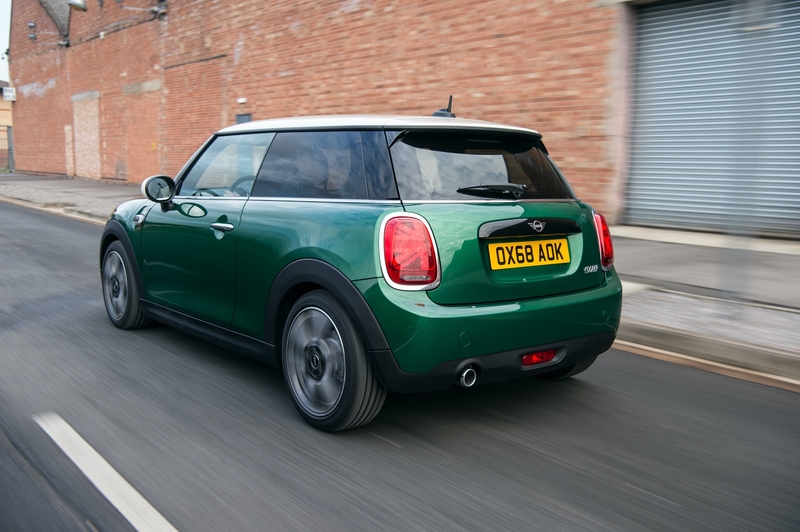 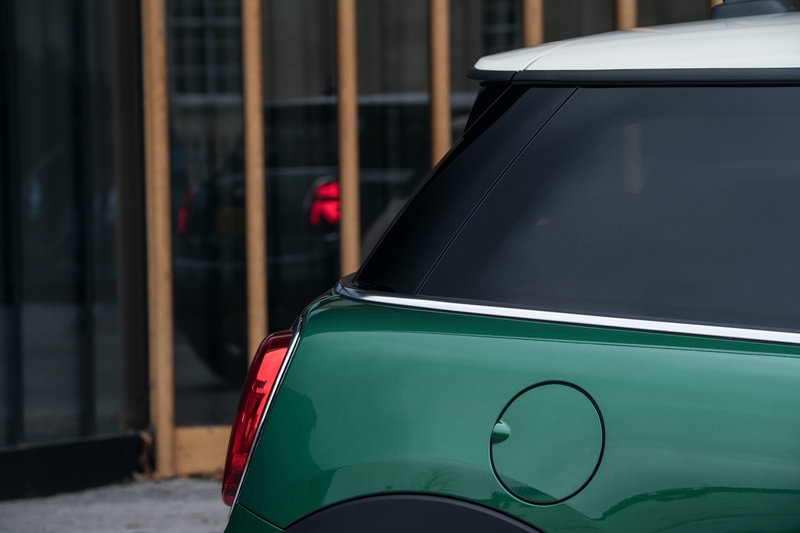 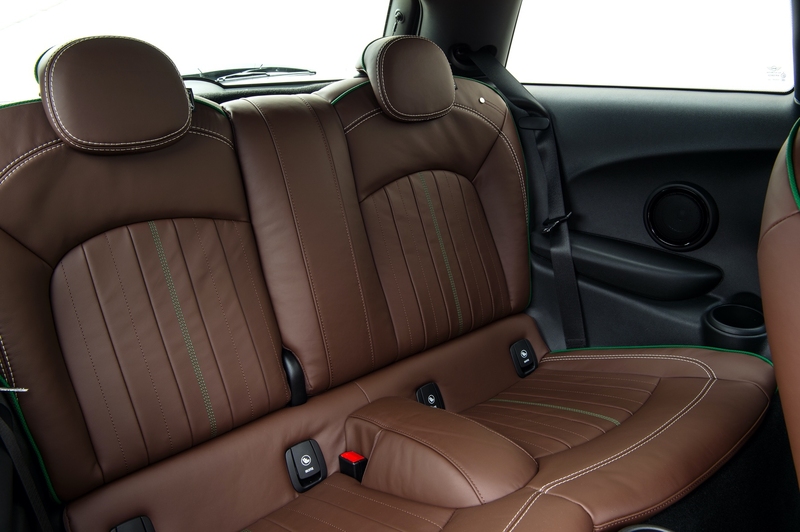 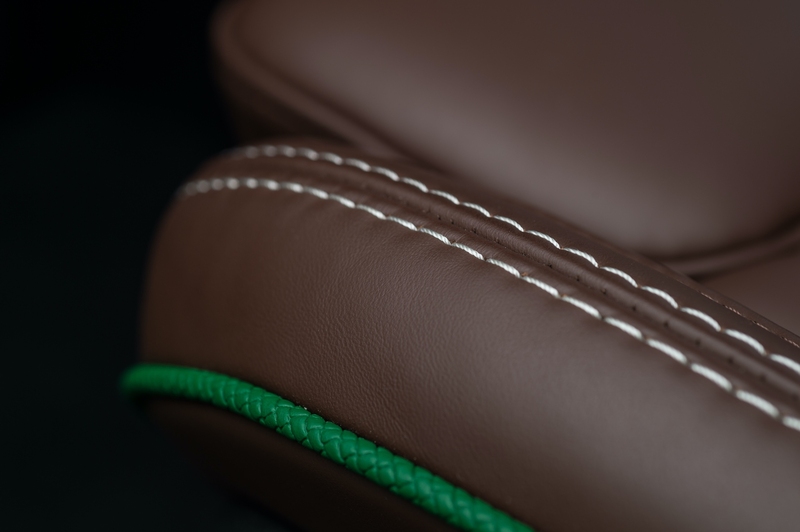 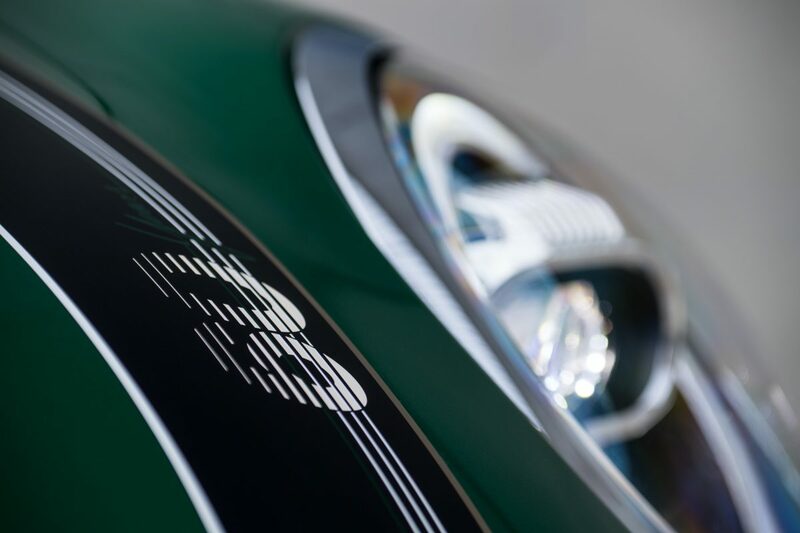 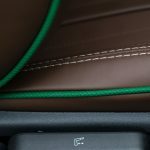 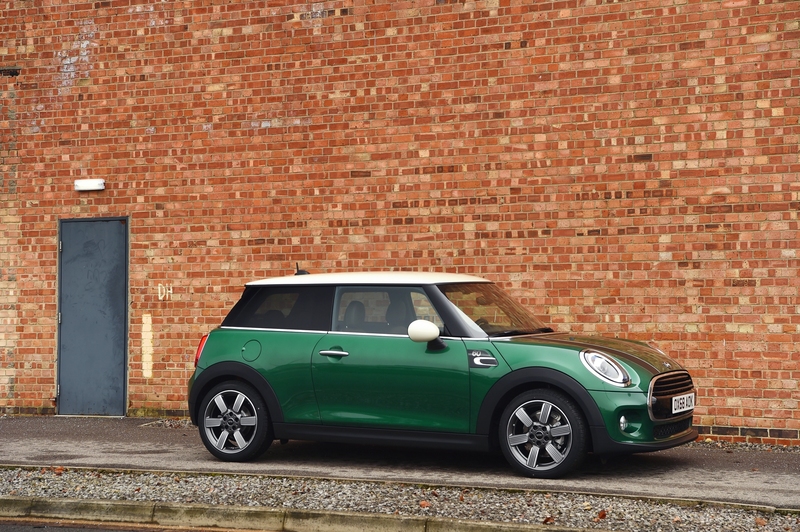 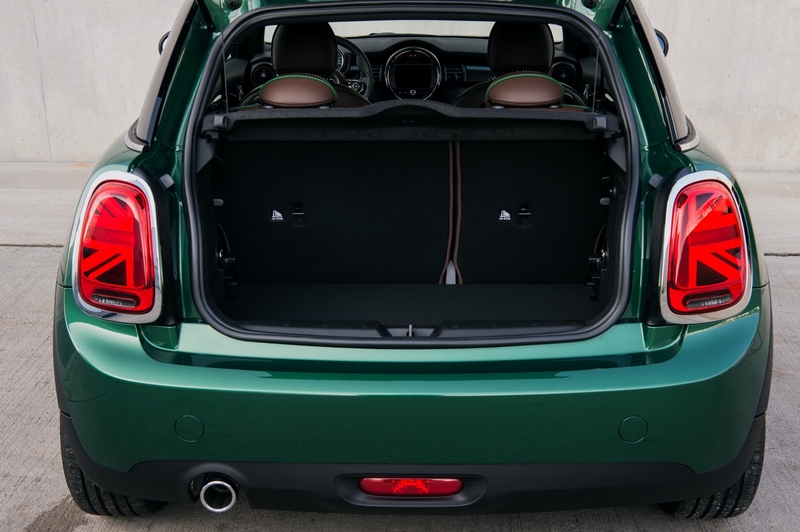 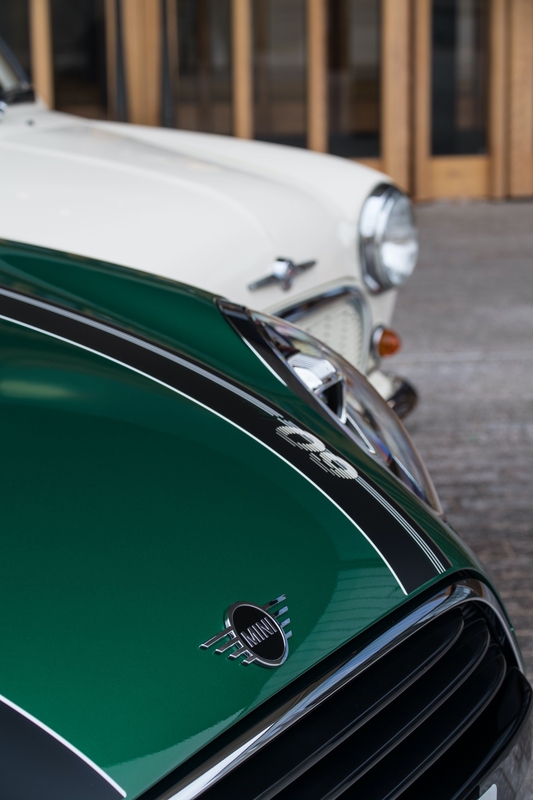 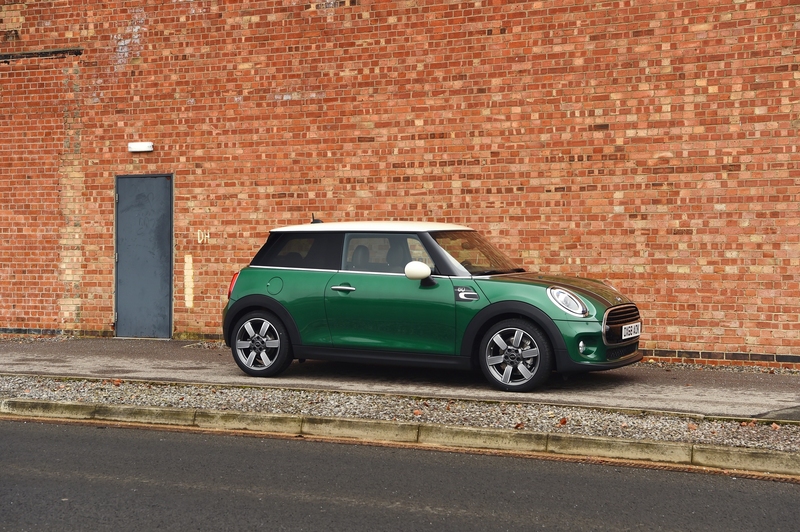 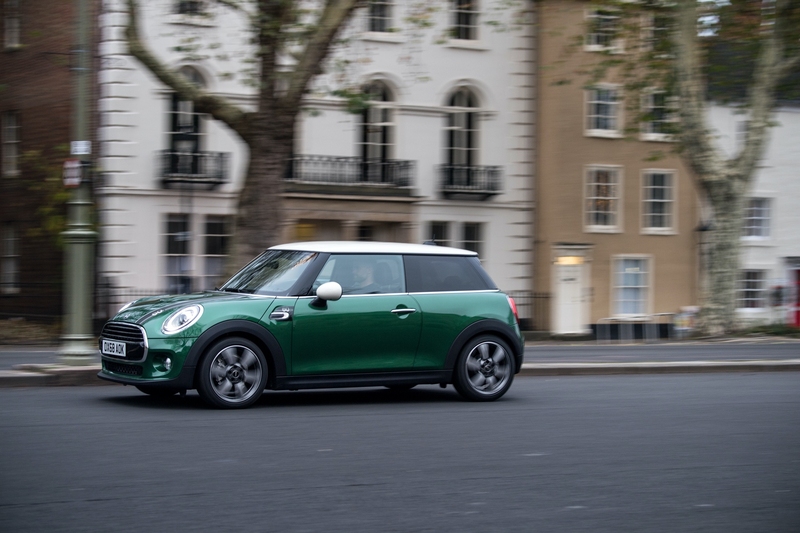 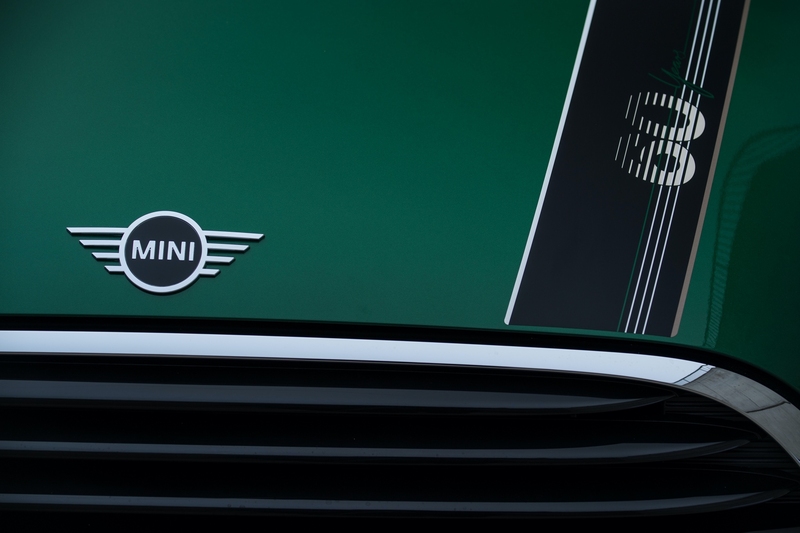 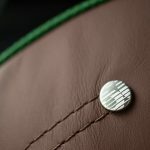 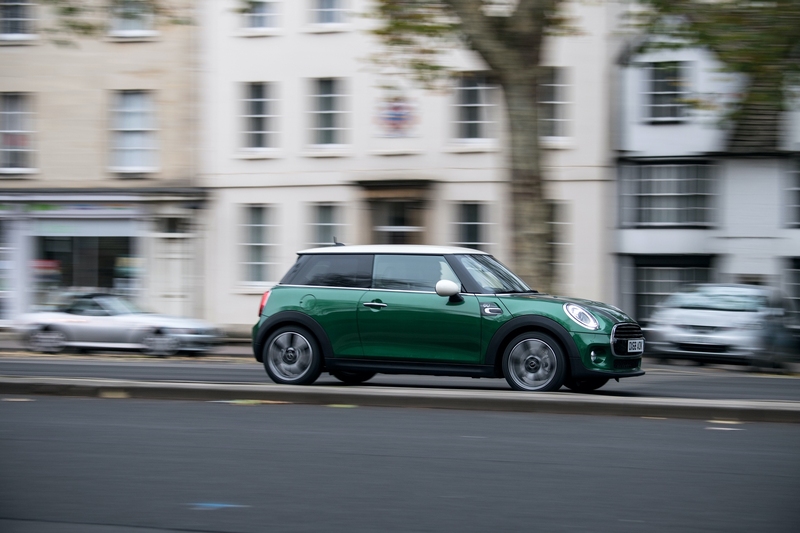 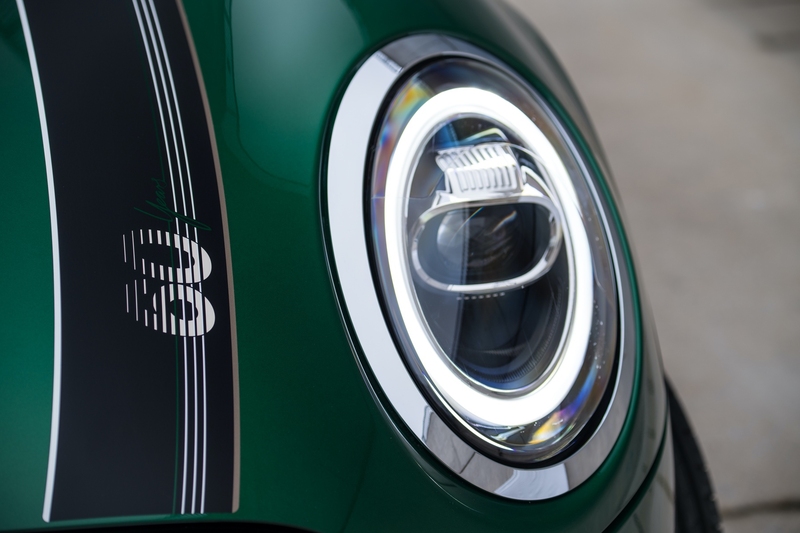 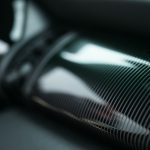 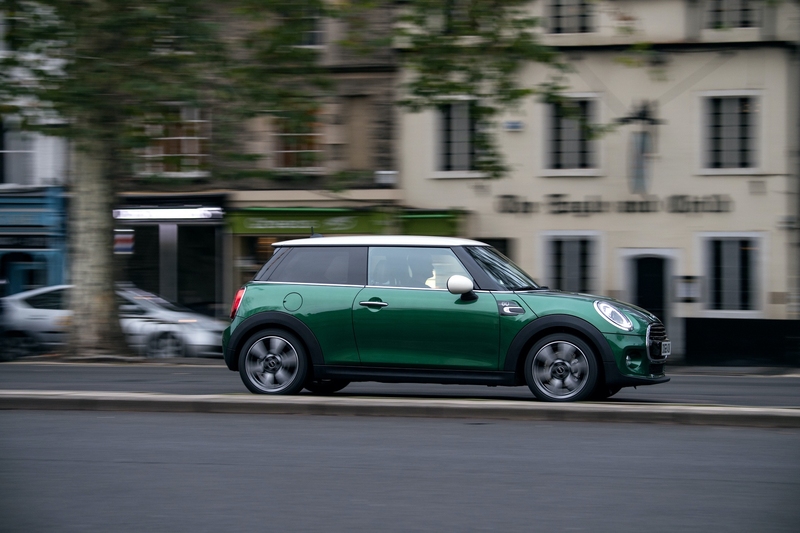 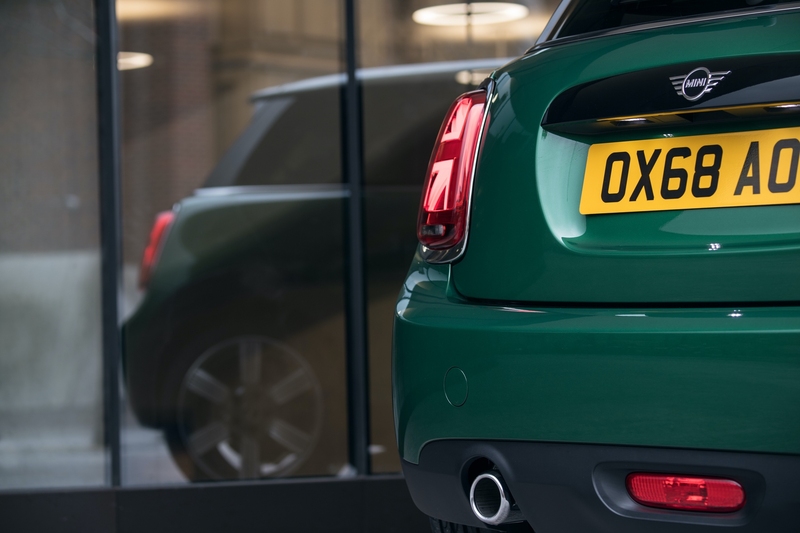 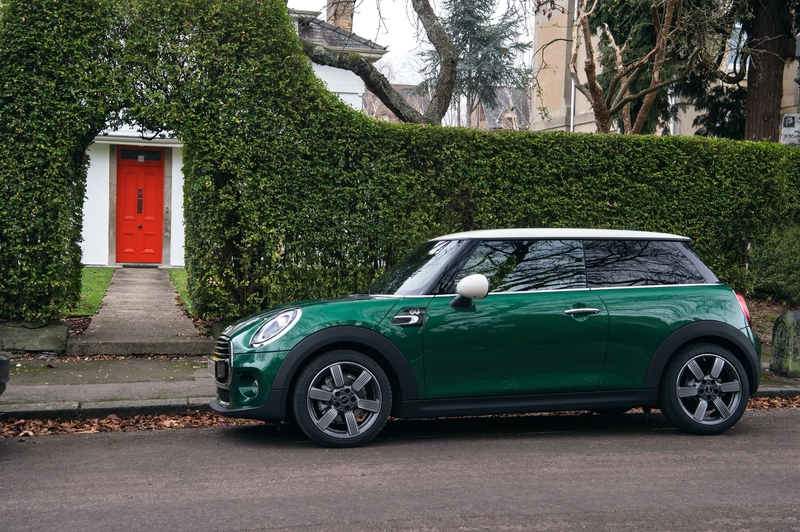 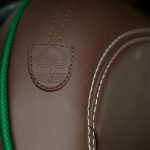 The anniversary edition comes in the all-new body color British Racing Green IV Metallic that will initially remain exclusive to this model (before becoming available in other models later in the year). 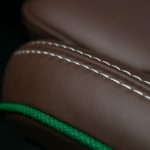 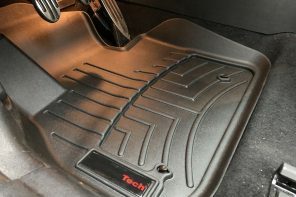 Additional colors available for this special edition include Midnight Black Metallic, Lapisluxury Blue and Melting Silver. 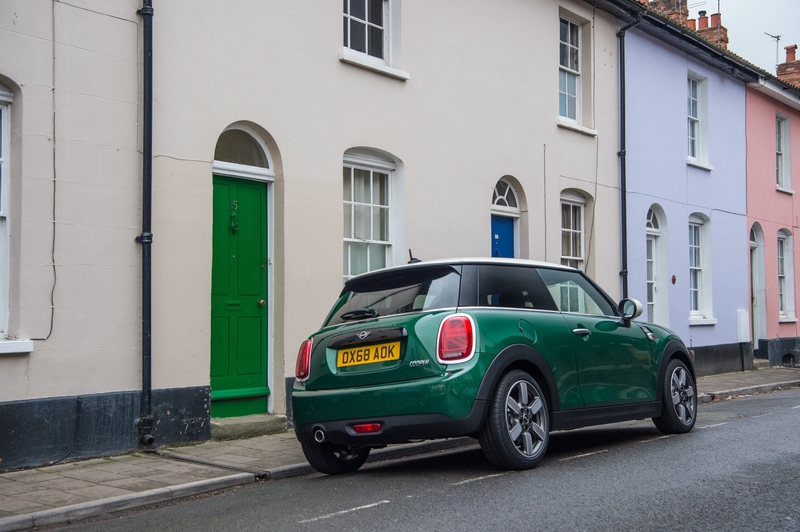 The big news to us is the addition of Pepper white as a top color – the first time that’s been available since the 2009 WC50. 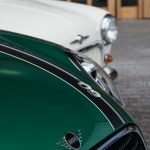 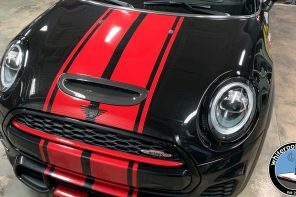 Additionally, the 60 Years Edition Bonnet Stripe come in; Black Matte with Aspen White and British Oak, or Pepper White, BRG and Aspen White. 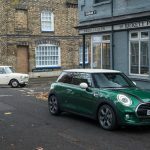 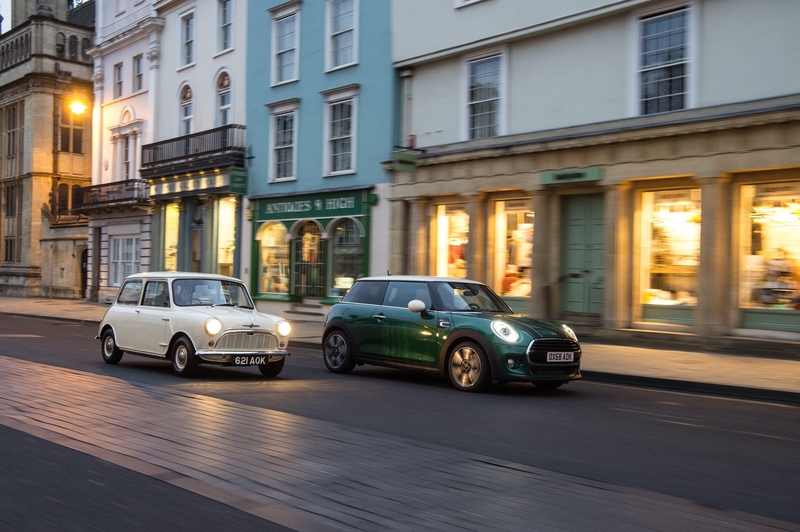 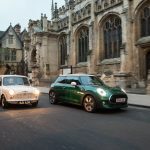 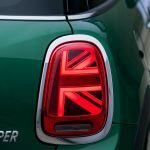 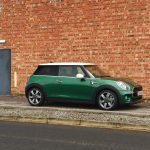 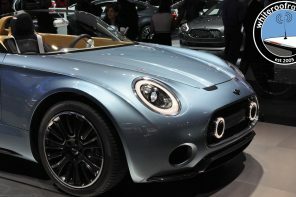 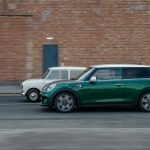 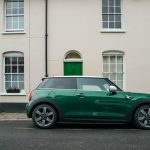 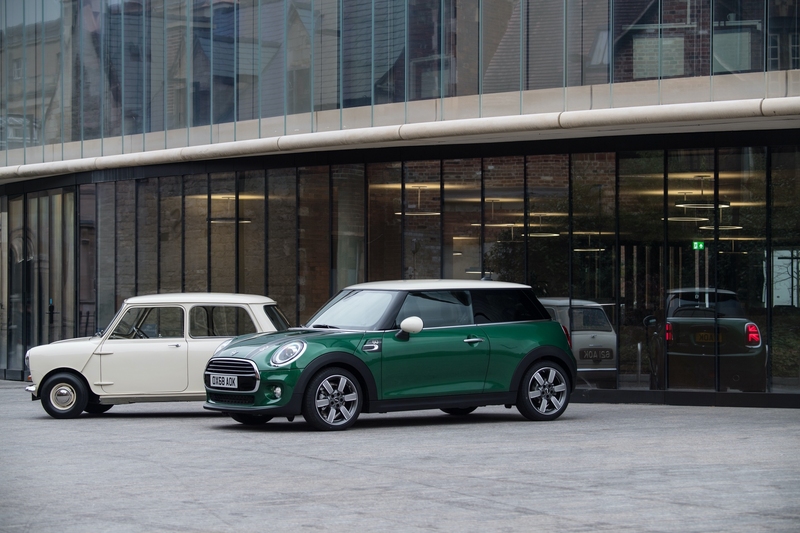 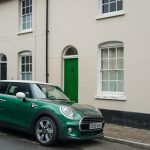 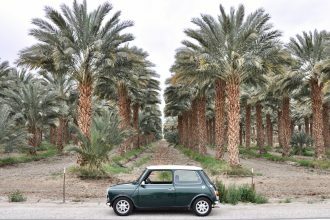 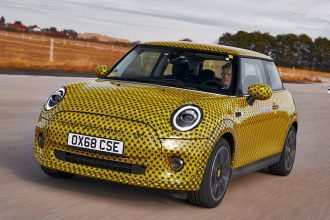 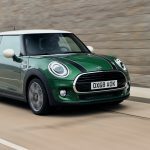 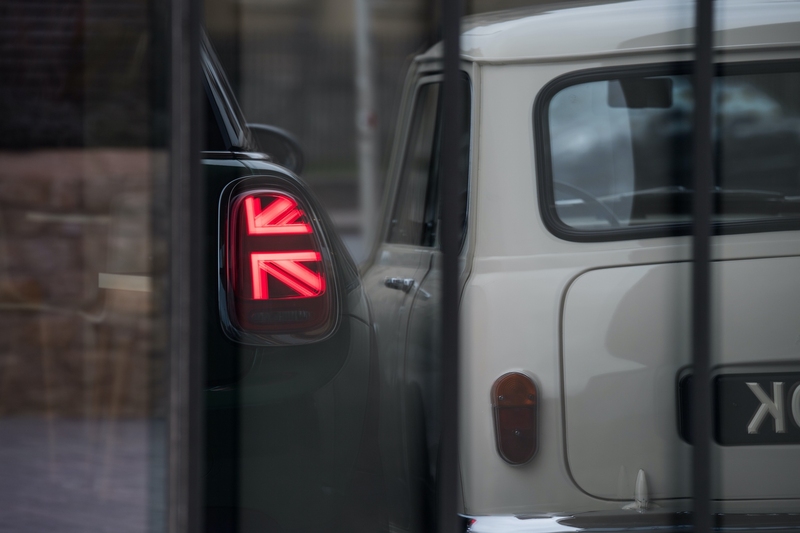 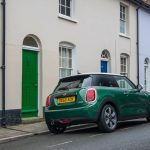 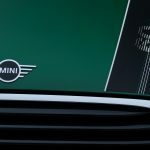 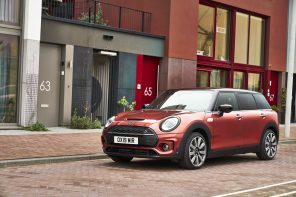 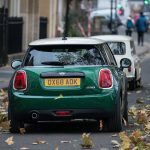 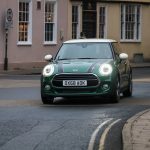 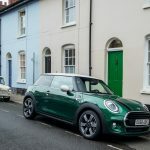 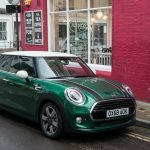 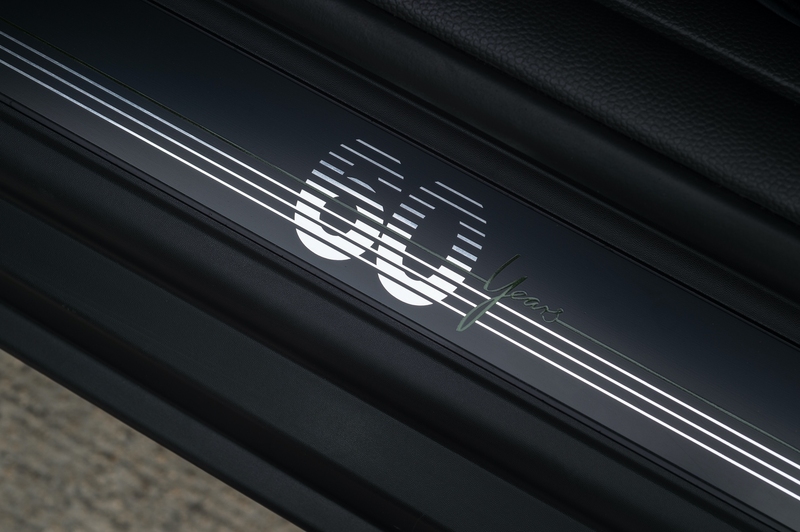 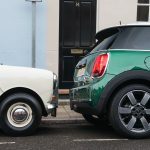 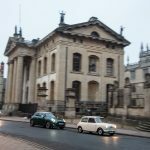 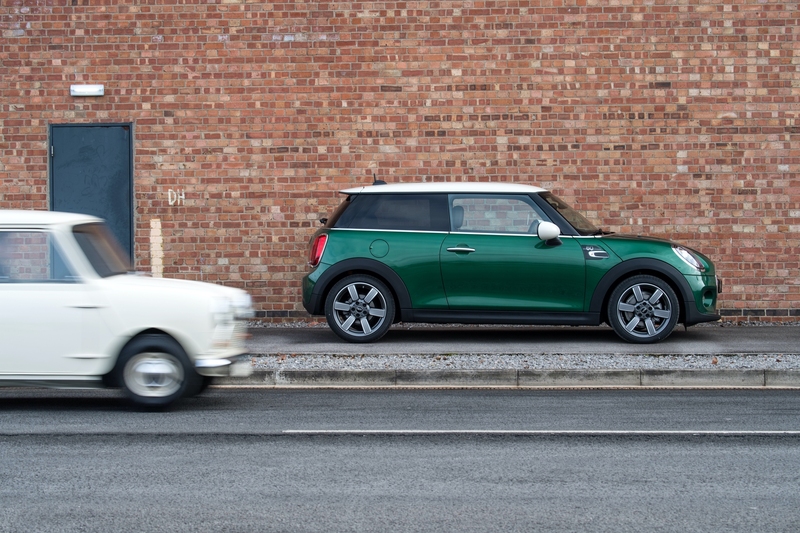 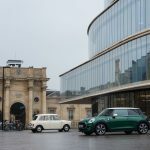 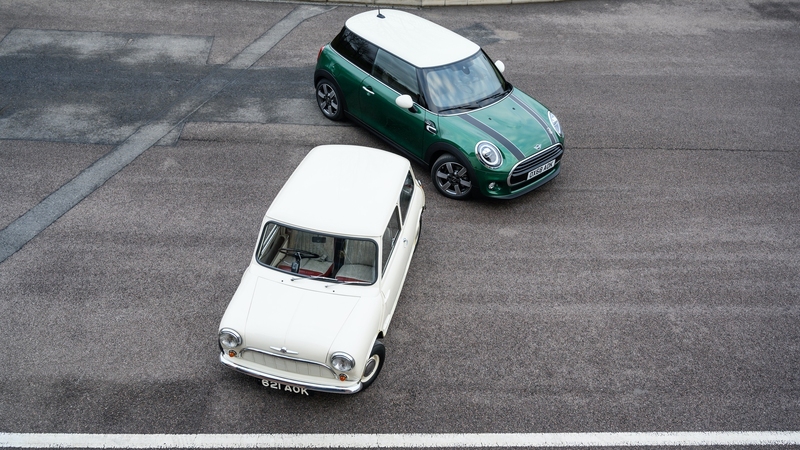 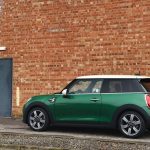 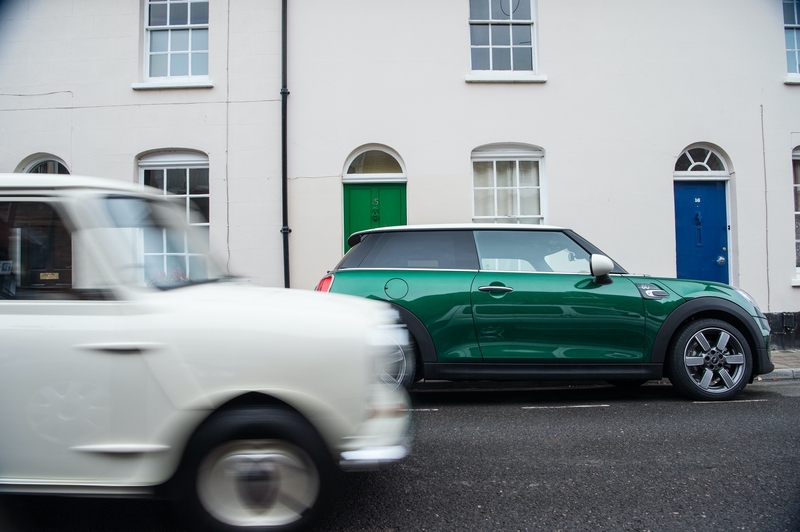 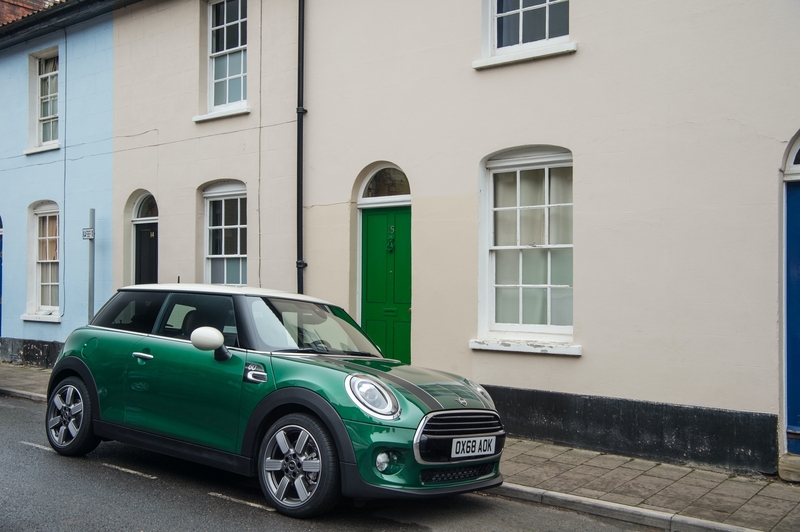 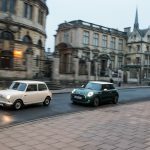 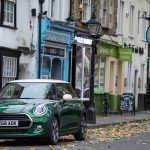 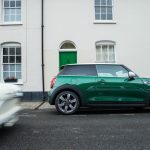 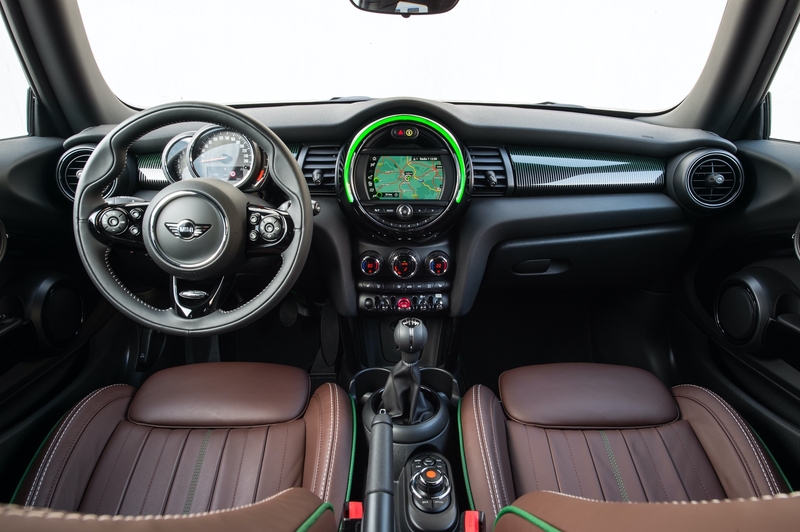 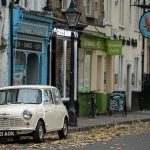 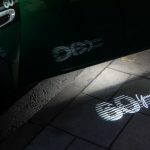 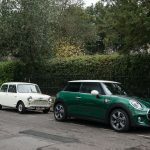 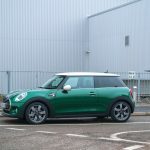 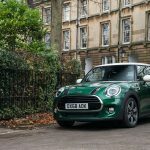 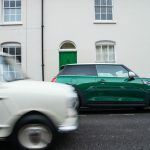 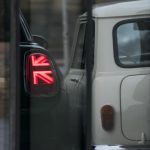 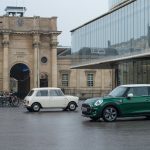 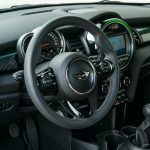 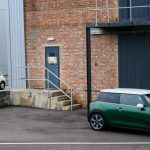 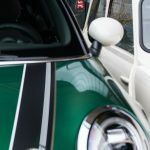 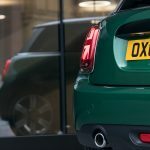 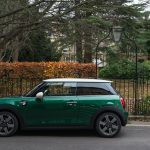 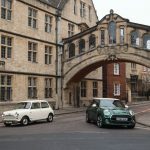 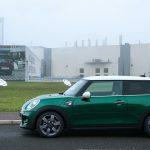 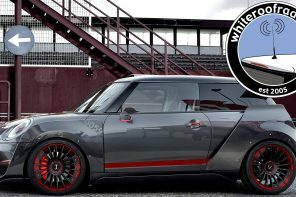 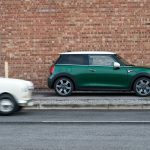 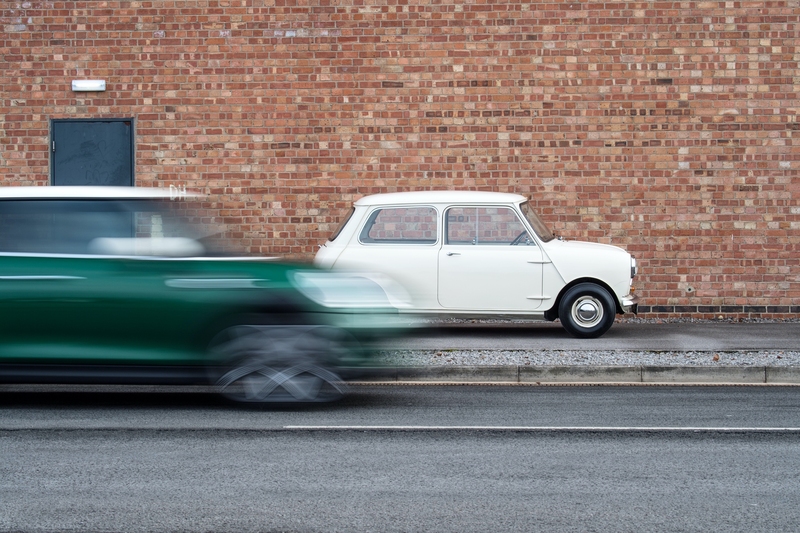 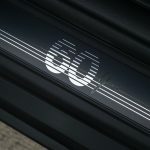 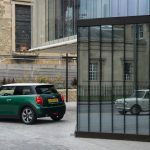 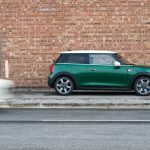 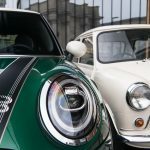 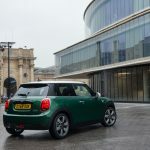 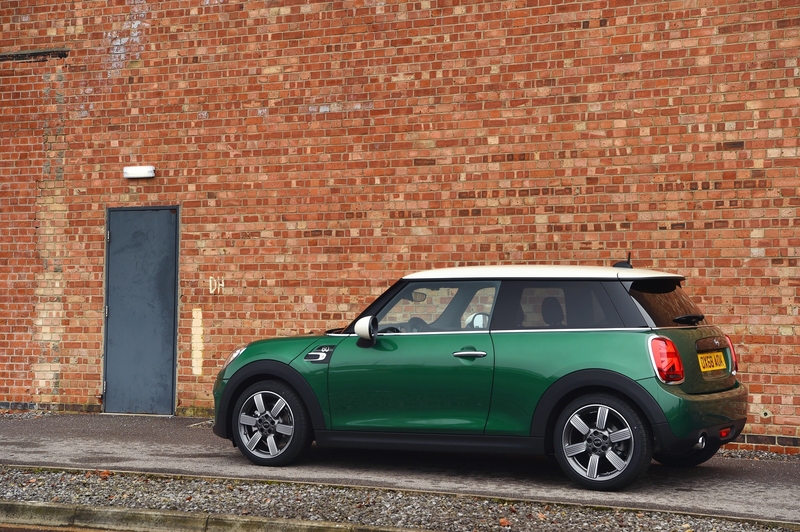 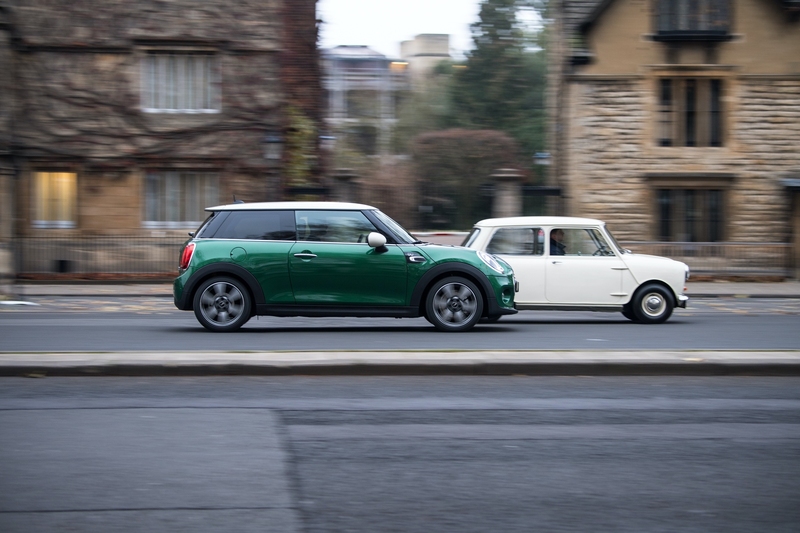 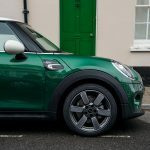 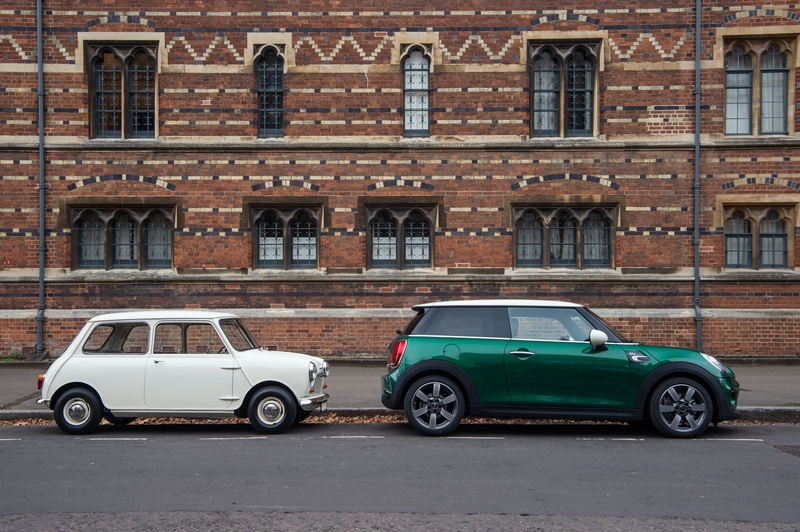 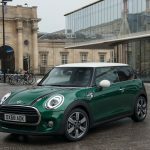 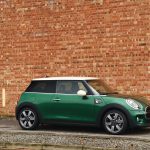 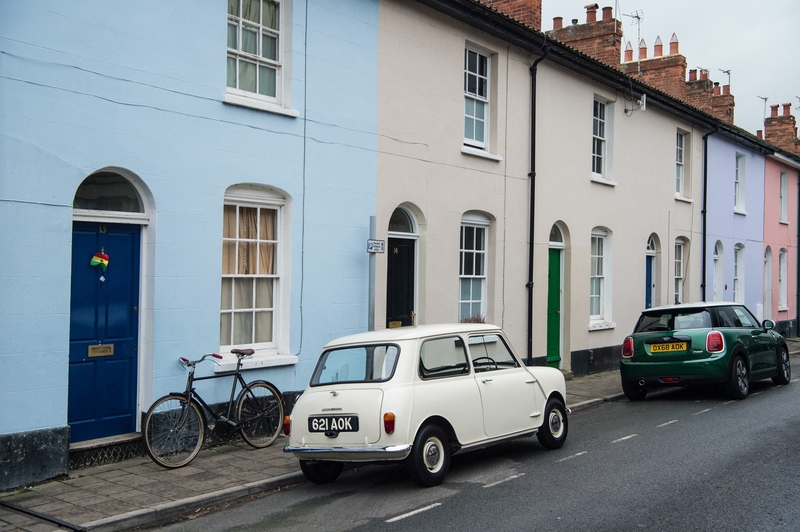 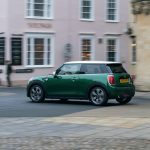 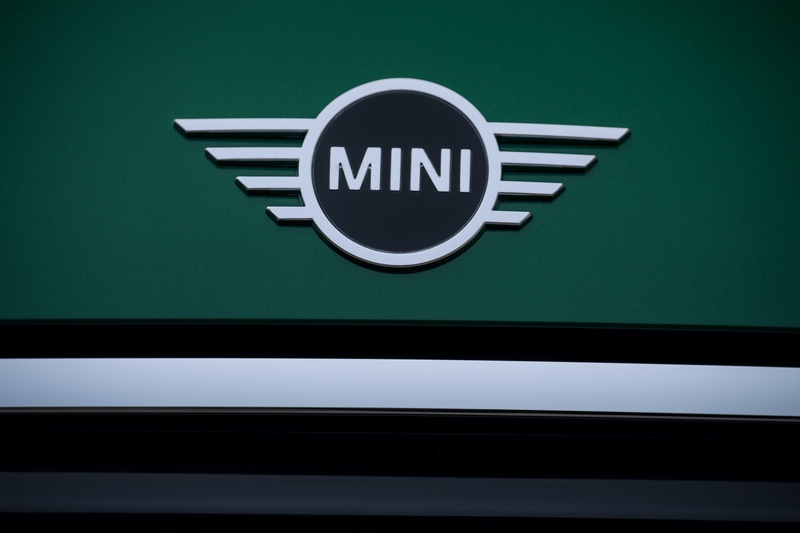 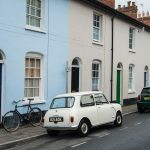 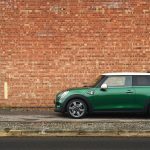 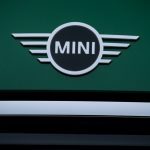 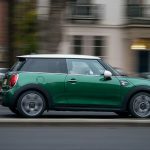 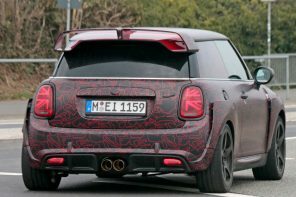 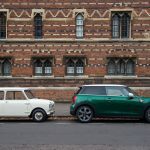 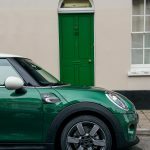 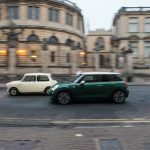 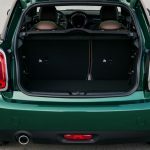 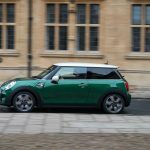 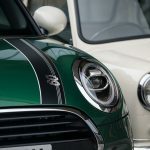 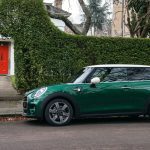 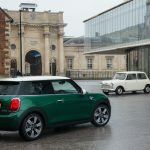 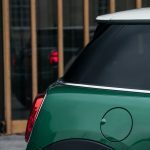 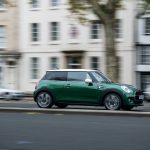 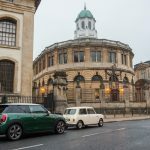 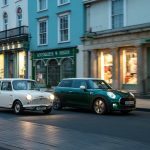 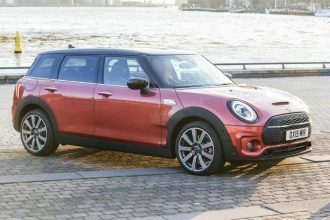 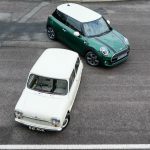 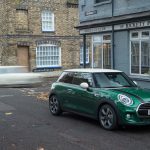 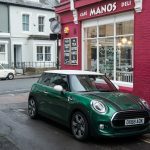 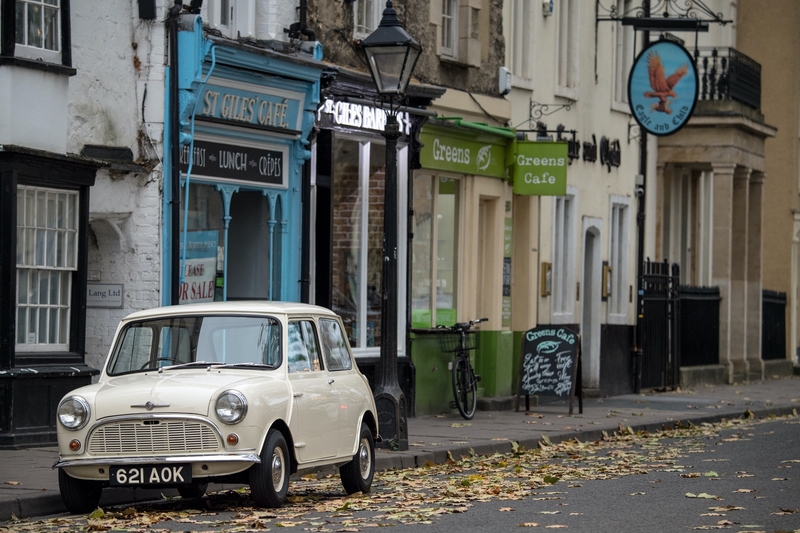 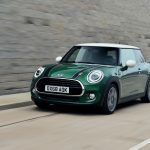 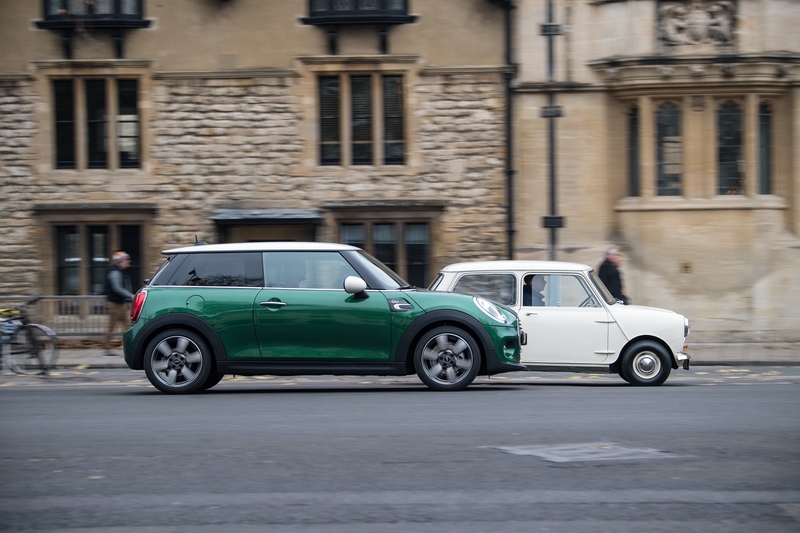 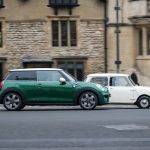 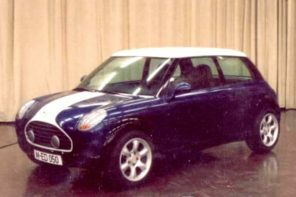 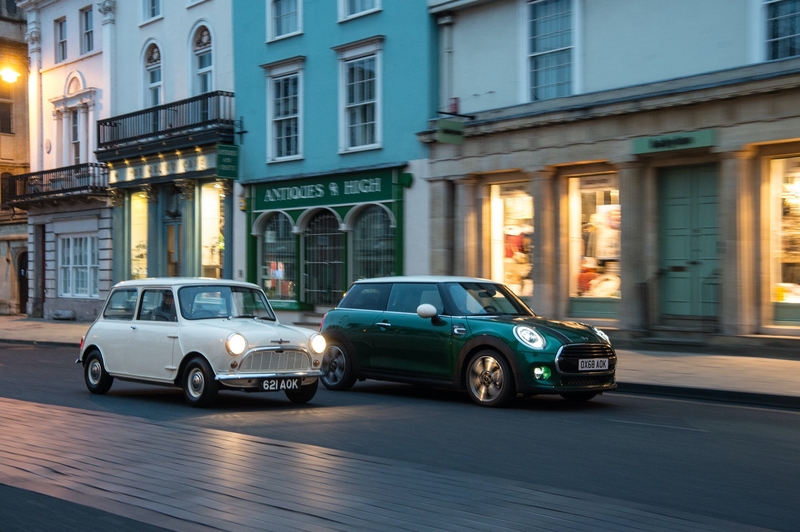 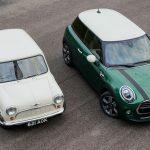 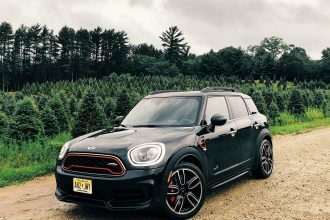 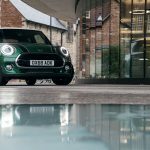 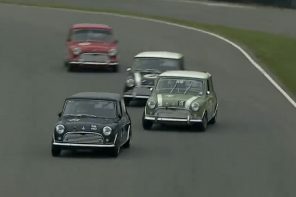 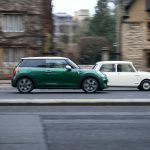 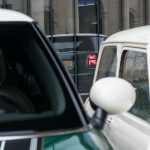 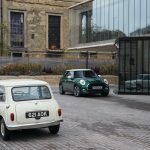 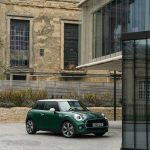 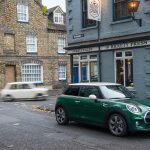 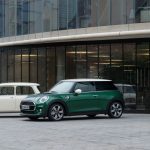 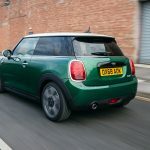 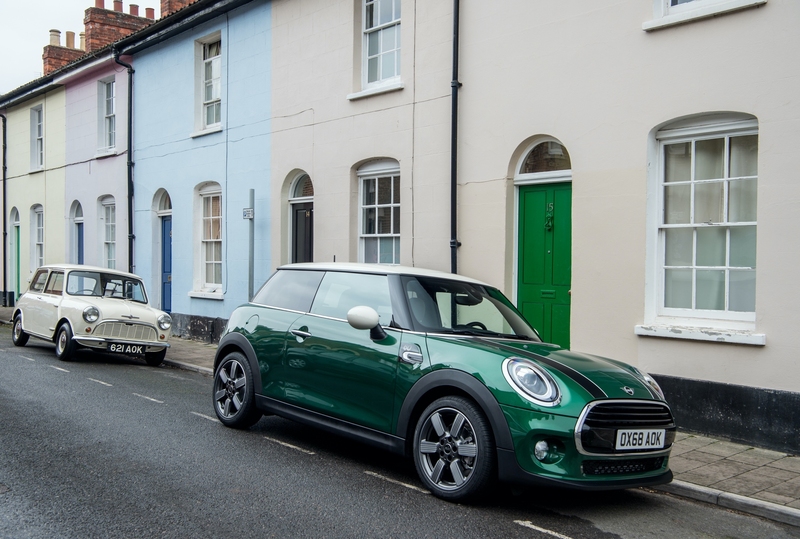 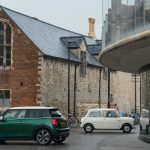 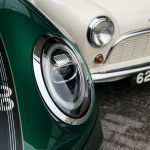 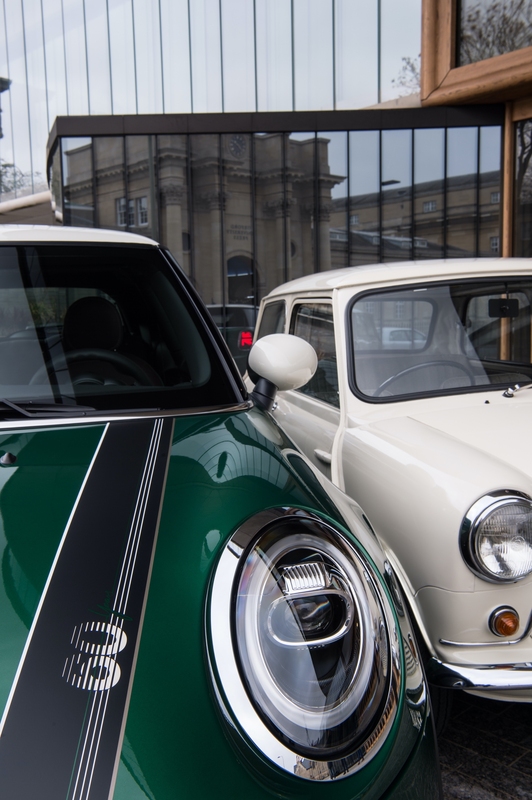 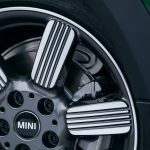 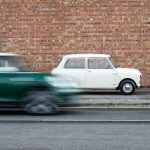 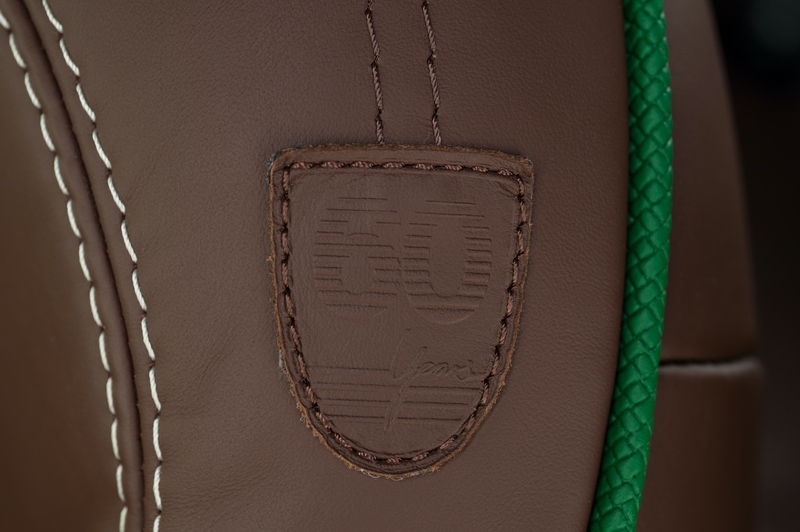 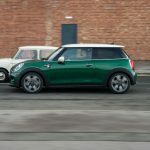 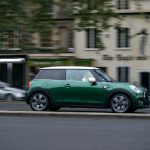 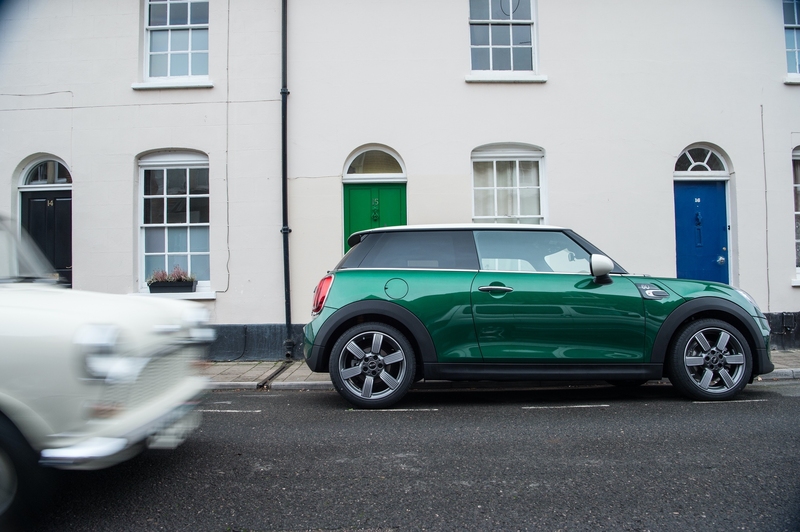 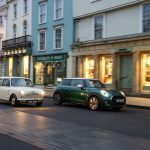 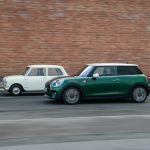 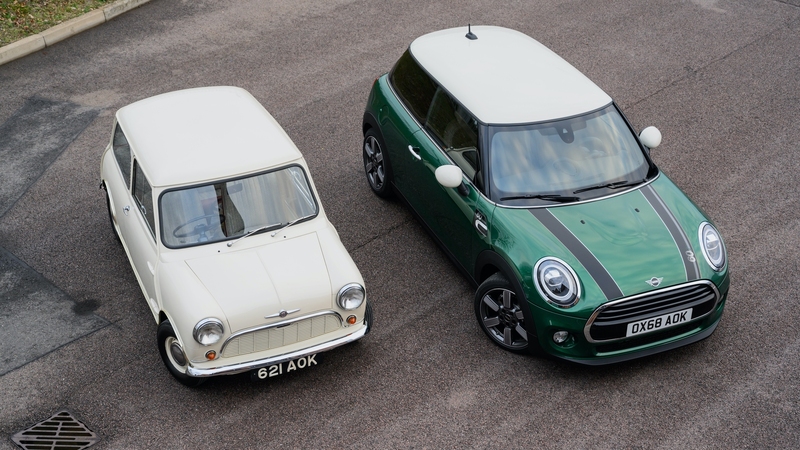 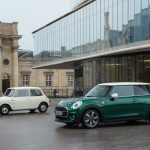 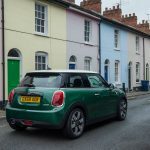 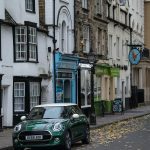 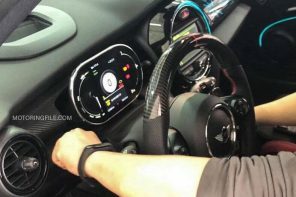 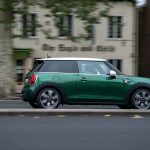 Start of production for the MINI 60 Years Edition will begin in March 2019 with final pricing coming shortly afterwards.